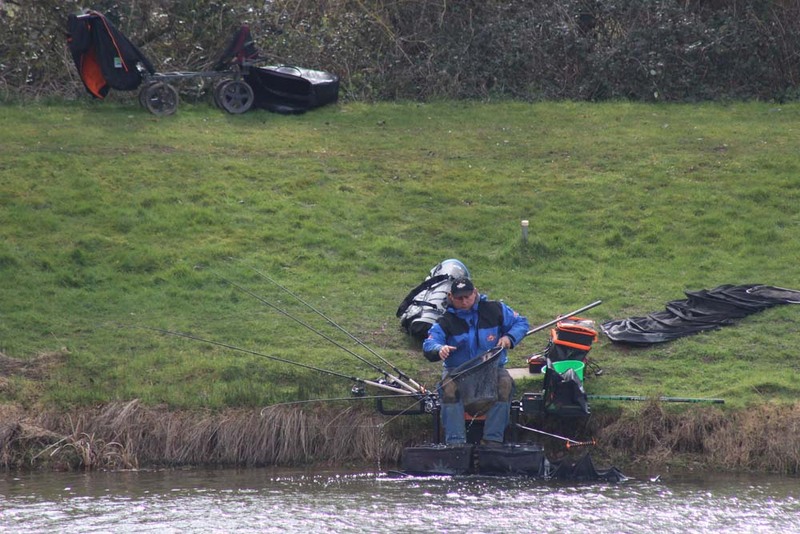 Left, Lee Kerry, 4th, Tom Pickering 2nd, Steve Ringer, champion, right, Ian White, 3rd. 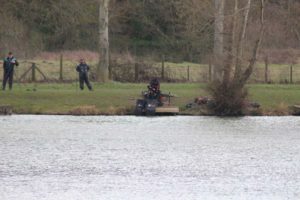 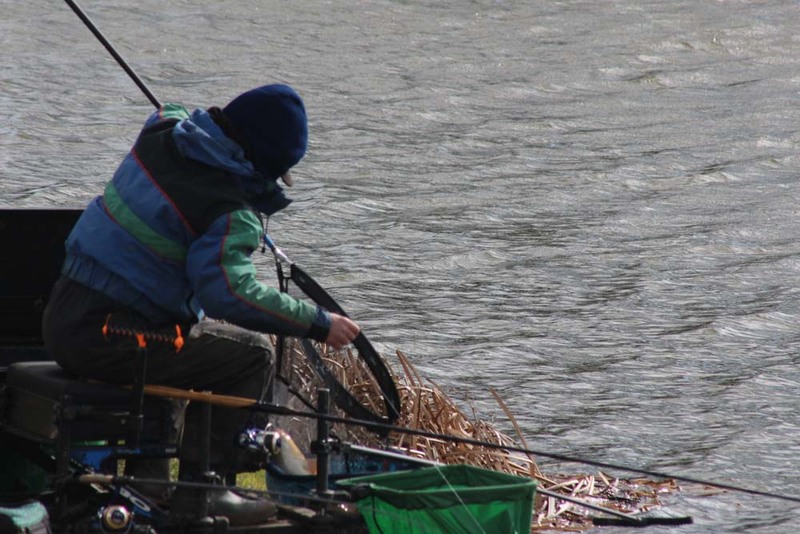 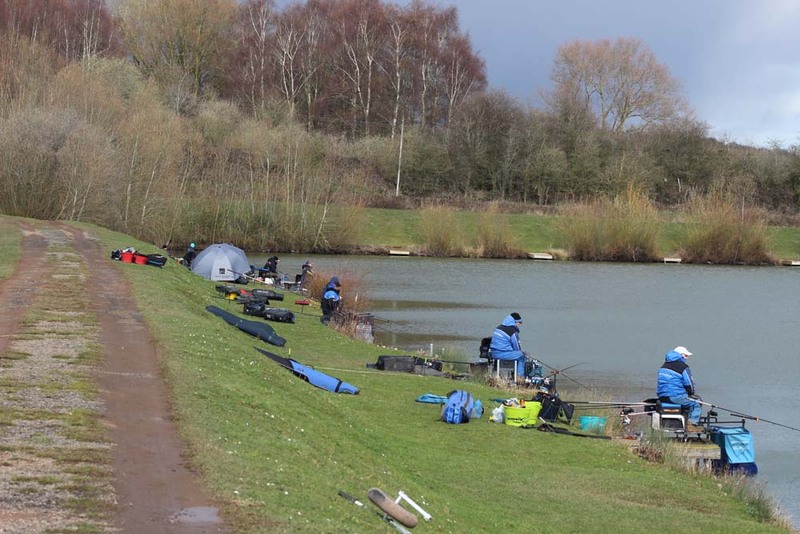 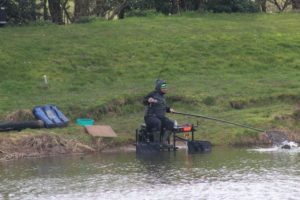 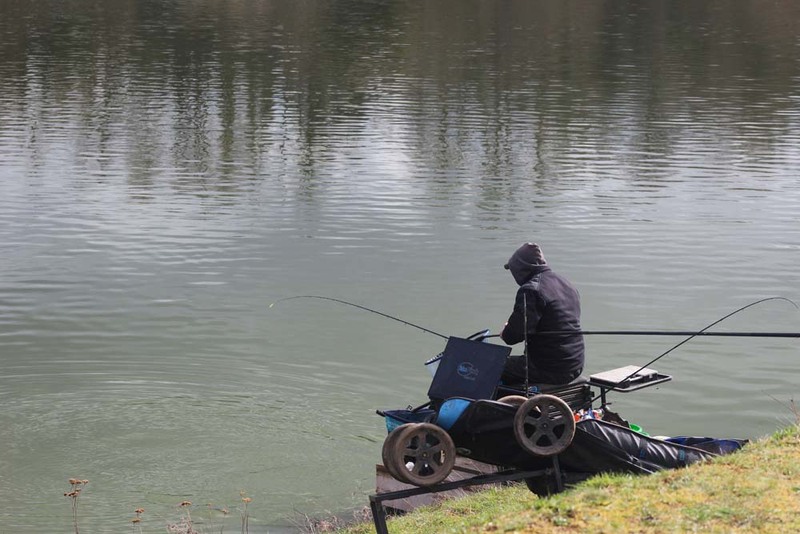 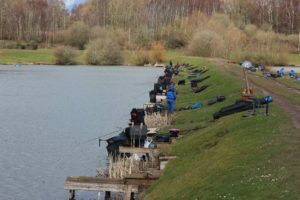 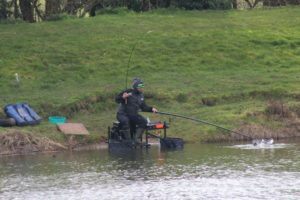 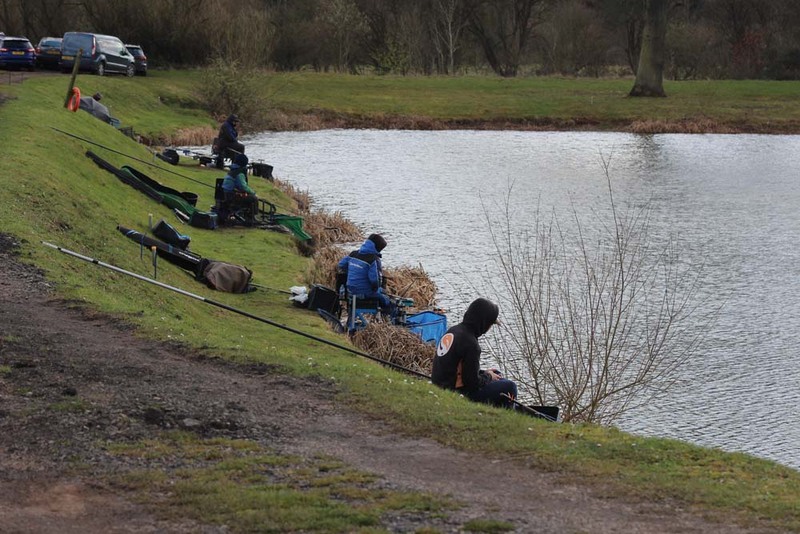 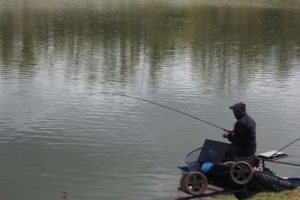 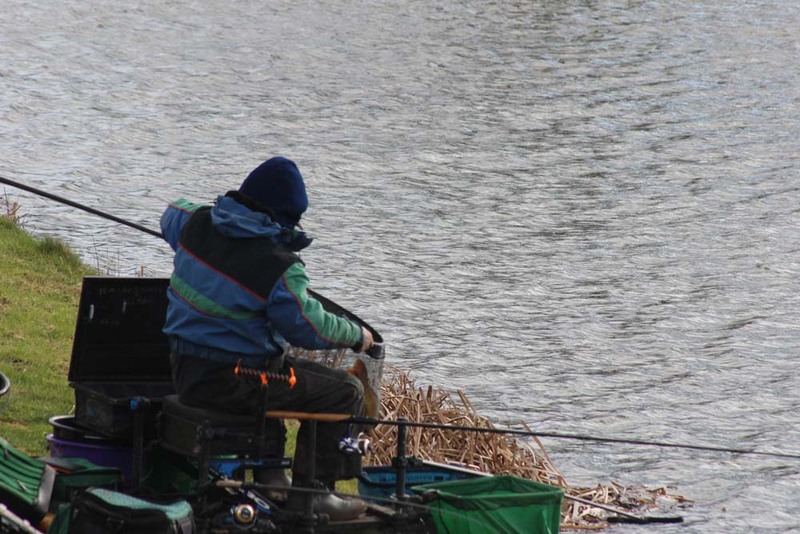 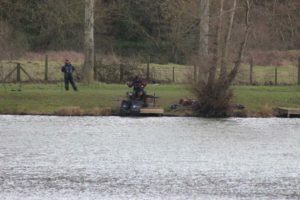 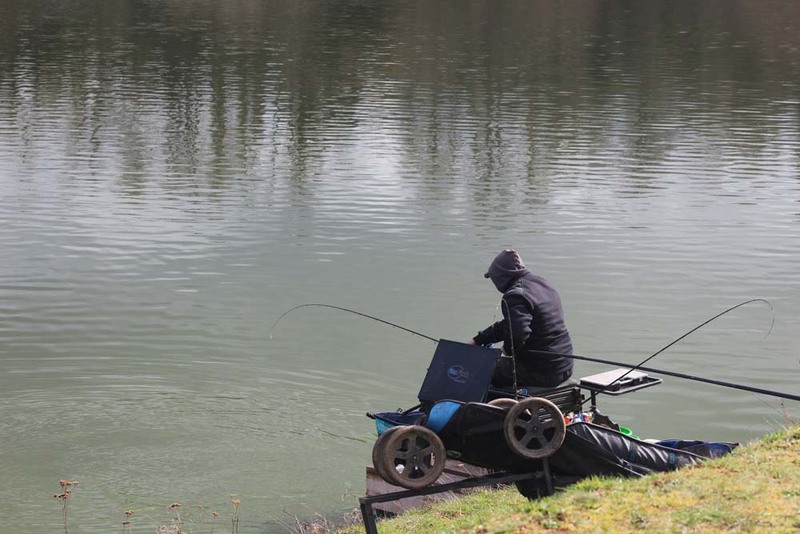 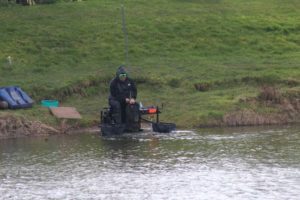 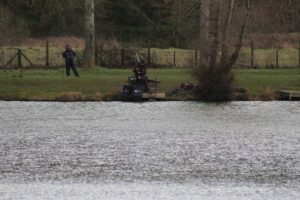 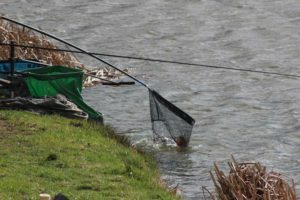 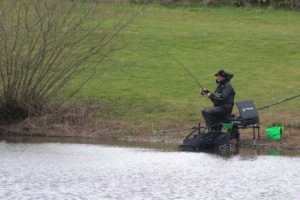 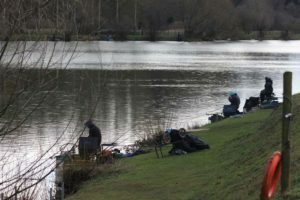 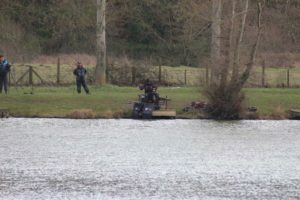 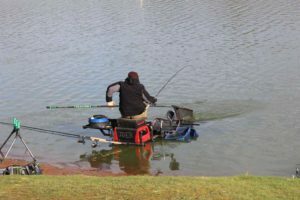 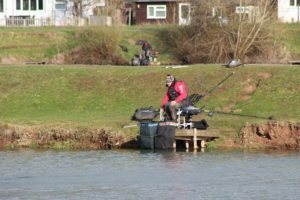 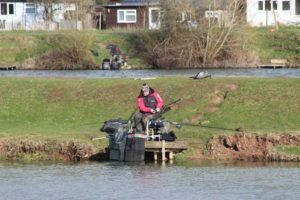 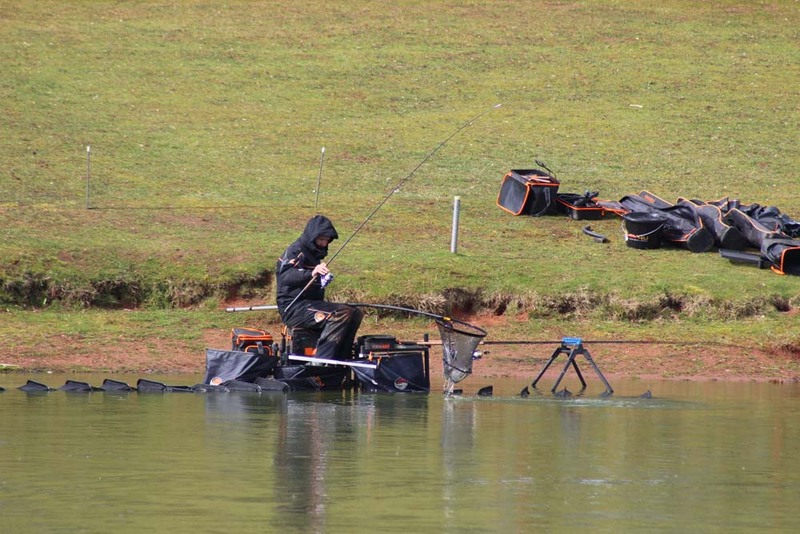 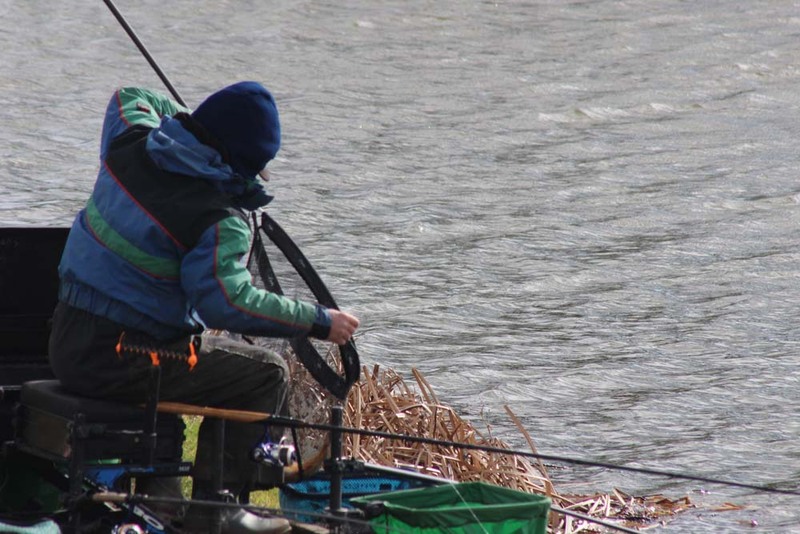 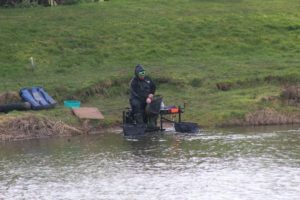 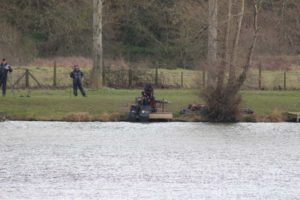 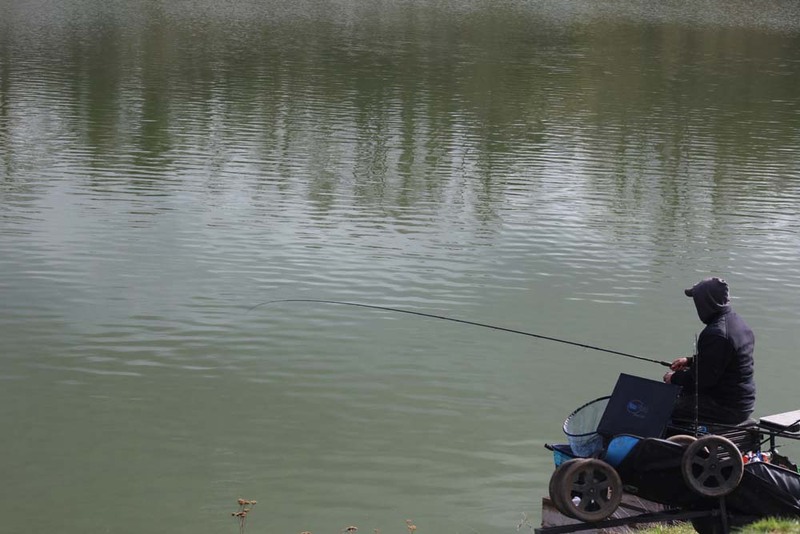 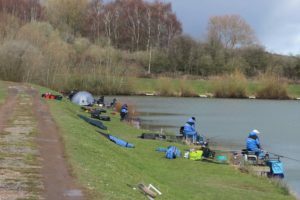 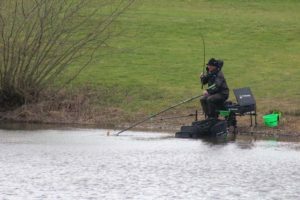 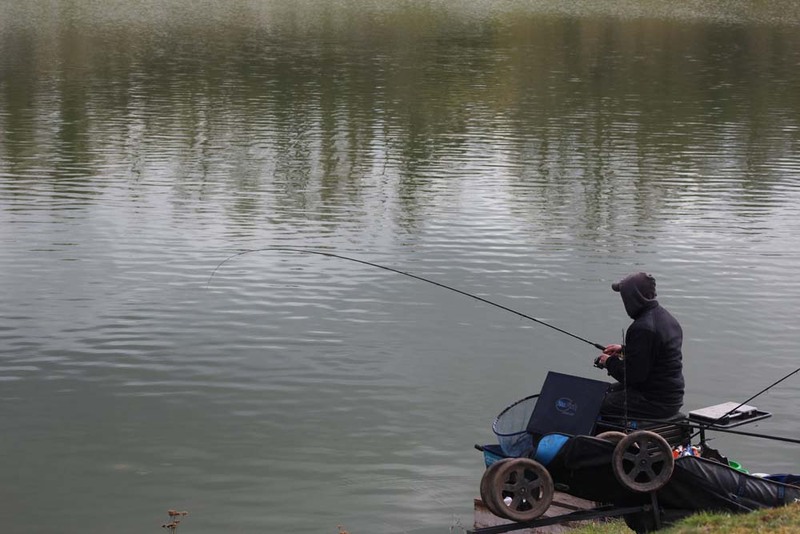 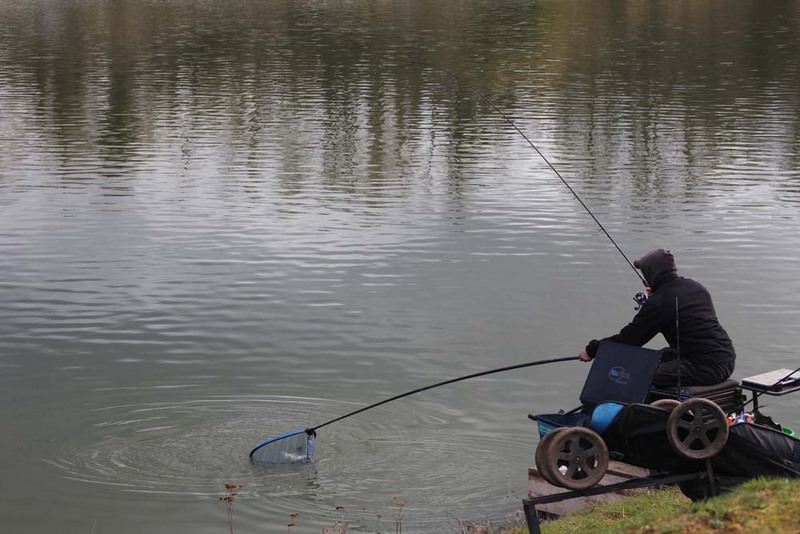 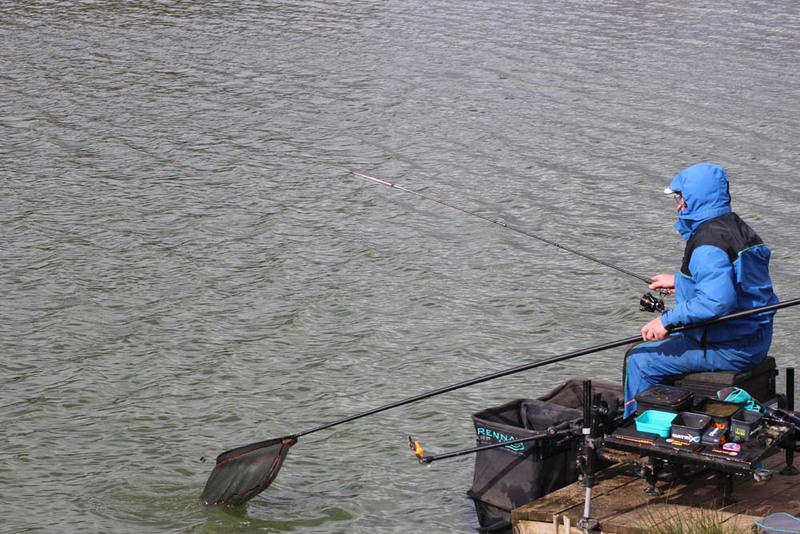 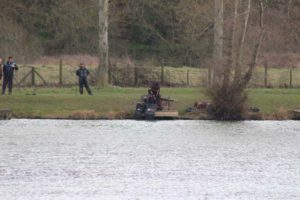 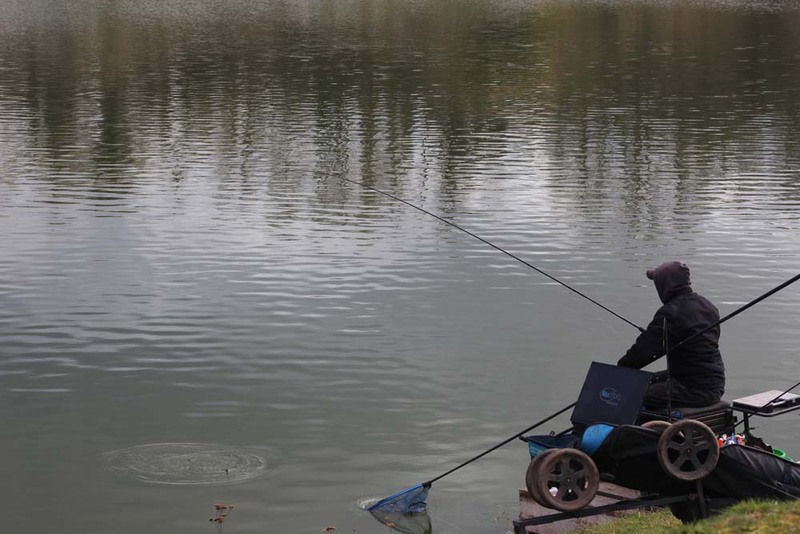 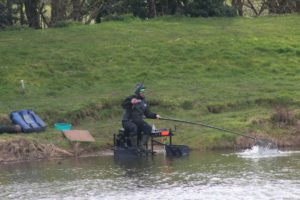 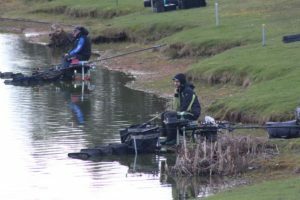 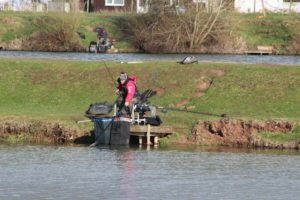 The long road to the final concluded as 60 of the country’s finest feeder anglers made their way to Larford Lakes in Worcestershire to fish for the coveted title of Golden Rod Feeder Champion 2019. 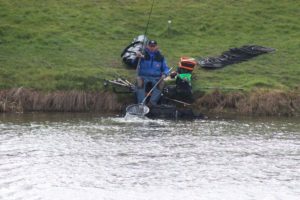 A staggering £28,600 prize fund and a champion who would pocket a massive £12,000 for first place overall and the superb trophy. 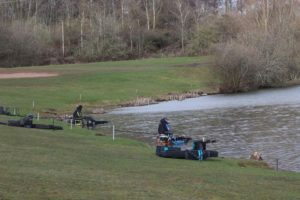 There was a number of finalists returning from last year’s final including Steve Ringer, Darren Cox and last year’s champion, Charlie Simpson. No beast from the east this year but conditions for the two day final were far from being perfect. 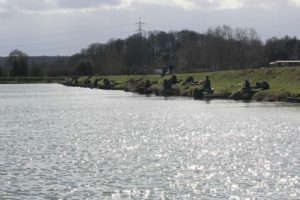 The competitors had to face up to extreme winds with gusts approaching 50mph. 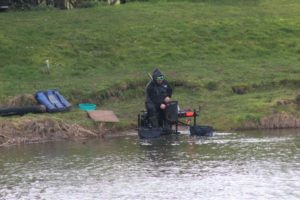 On top of this, temperatures took a tumble to just 10C, coupled with heavy rain at times. Saturday around 4”of rain lashed into the lakes and a keen frost on Sunday seriously effected the formbook. 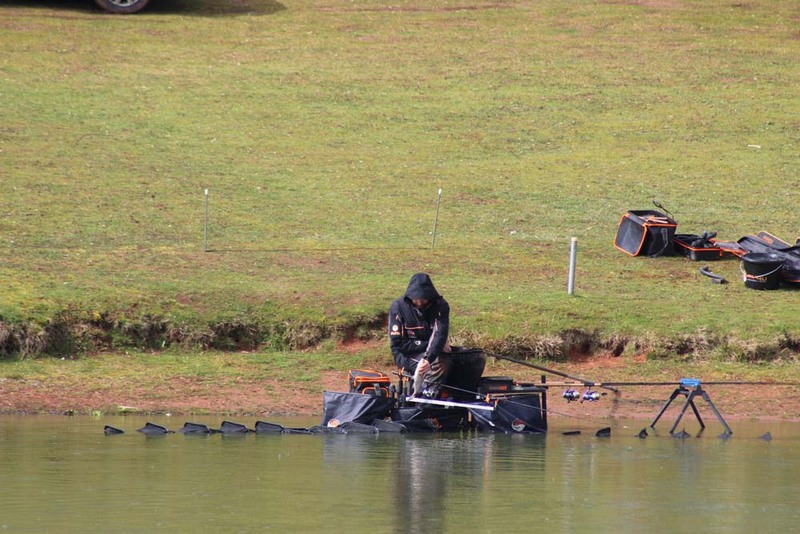 That being said, the Golden Rod Feeder final presented an epic final with just 1lb separating the first and second position. 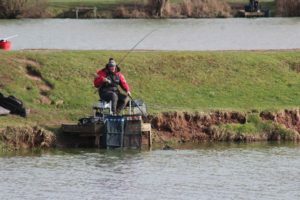 Overall winner on day 1 was Danny Wilson who drew peg 23 on the Specimen Lake. 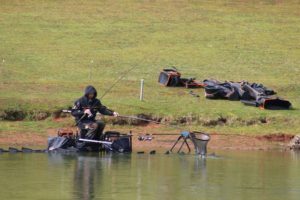 Danny quickly found quality carp short and down his edge bagging a massive 131lbs to method and waffters, easily winning his section for the perfect start to his challenge for the title. 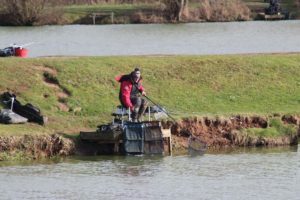 Second overall on day 1 was Nick Speed who drew peg 58 on the Match Lake. 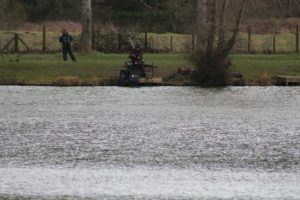 Not a fancied peg to challenge for a section win but Nick put in an excellent display of feeder fishing catching short and down his edges with both method and cage feeder landing 111-13-00 of carp, F1’s and skimmers, all to waffters and hard pellet. 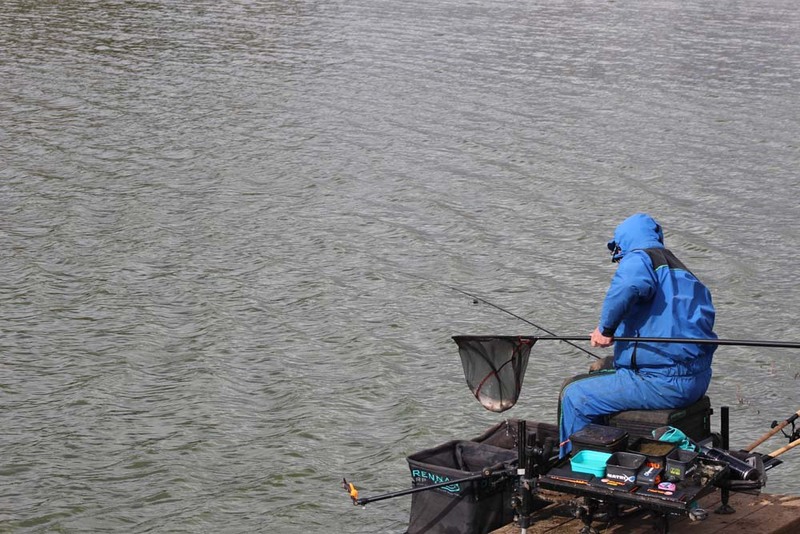 Nick secured both a section and lake win. Third overall on day 1 was Steve Ringer who drew peg 20 on the Match Lake. 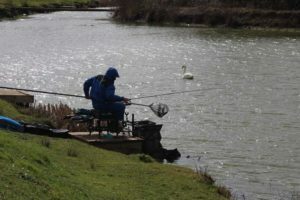 Steve had a slow start and after a couple of hours appeared to be out of the running. 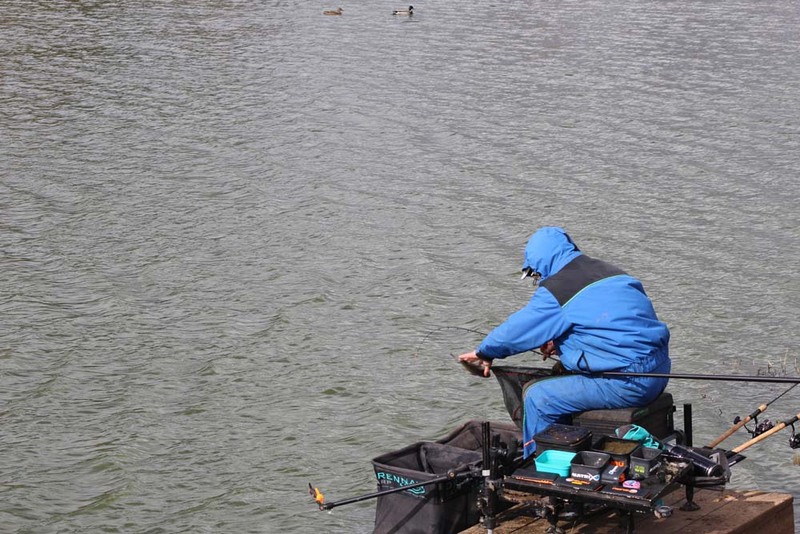 With a couple of hours remaining, Steve spodded in almost two tins of corn and pellet to totally transform his peg, catching quality carp right up to the final whistle and weighing 99-06-00 for a comfortable section win. Steve caught on the method feeder with waffters and hard pellet. 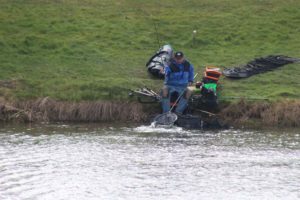 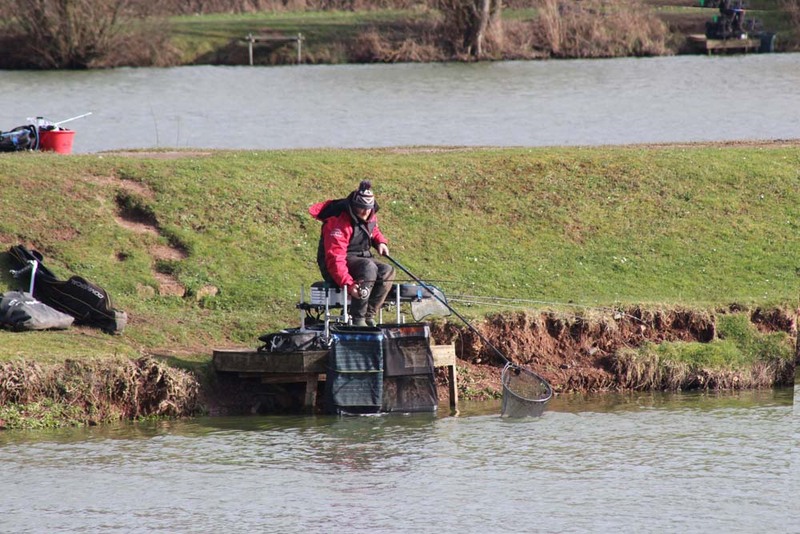 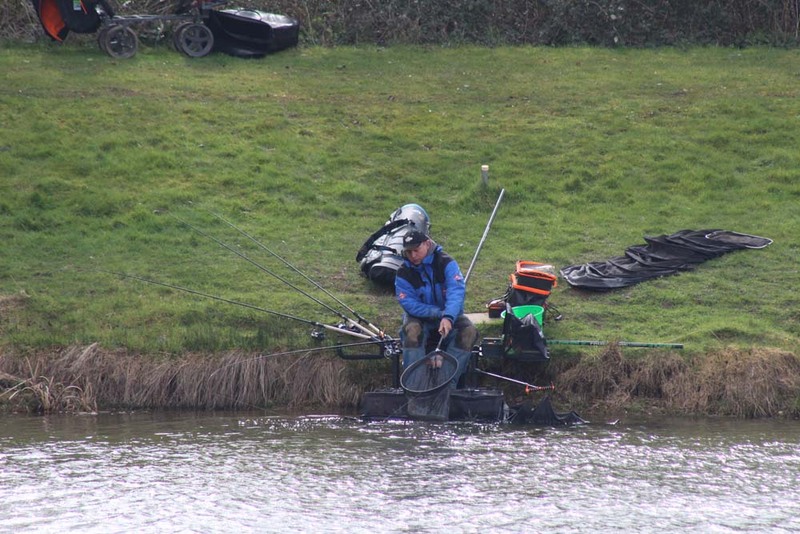 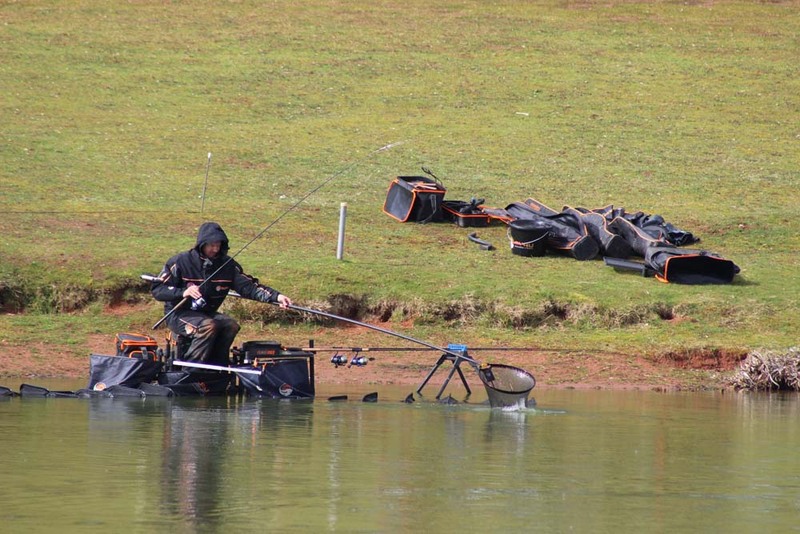 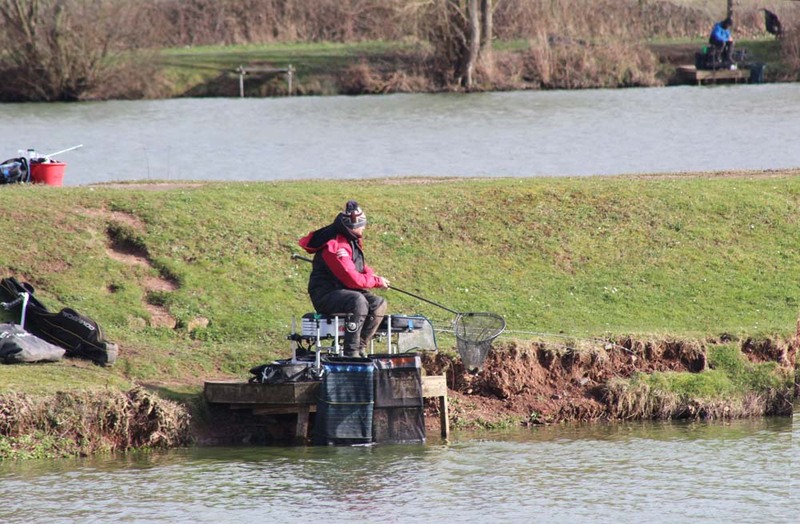 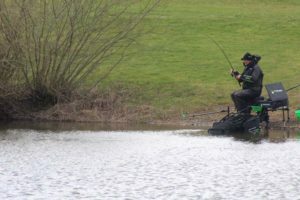 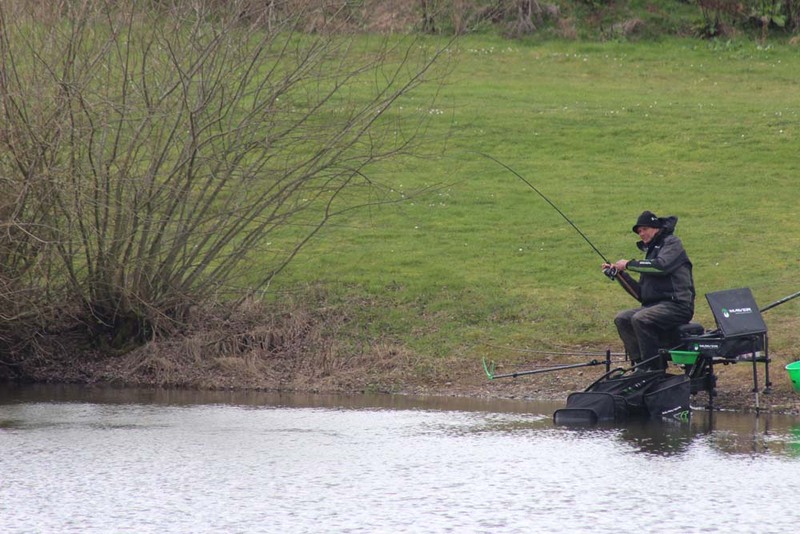 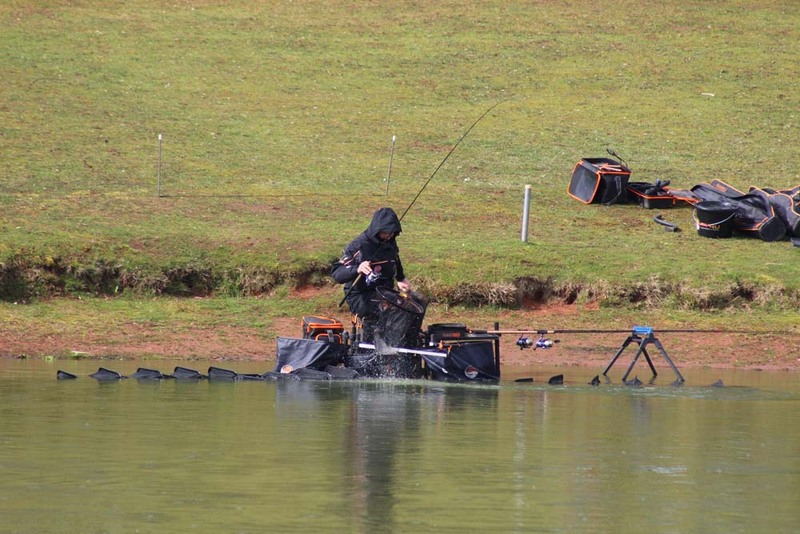 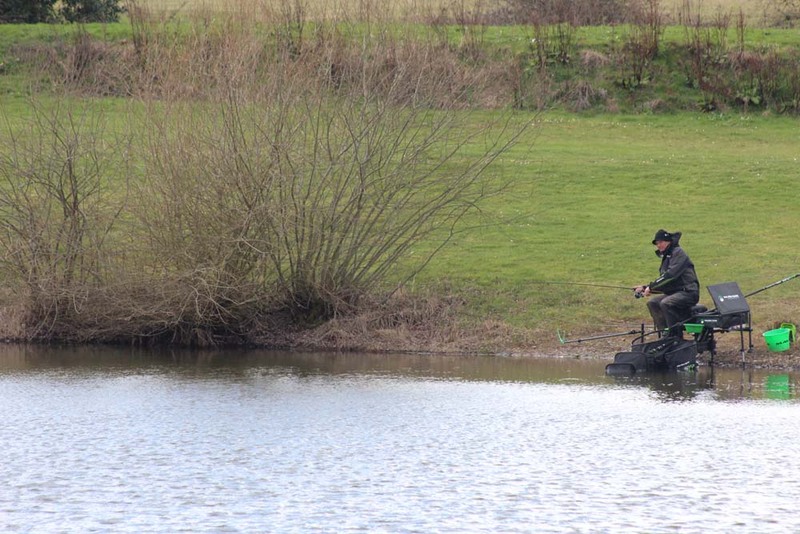 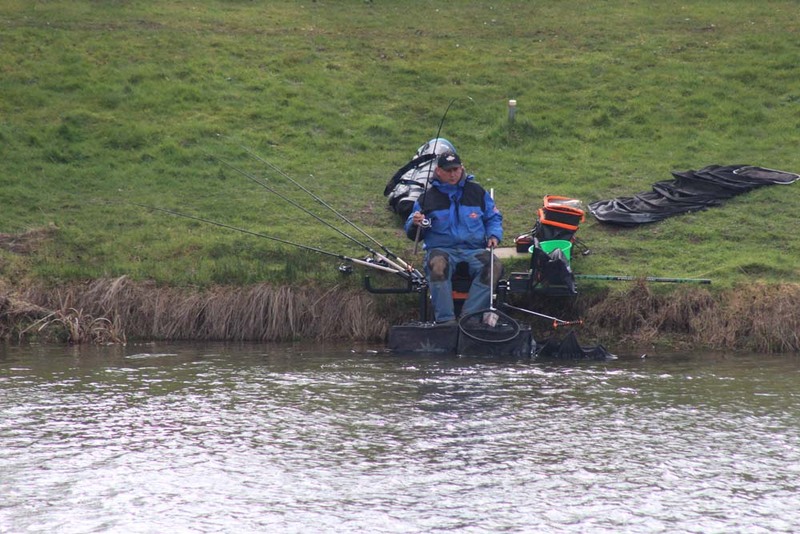 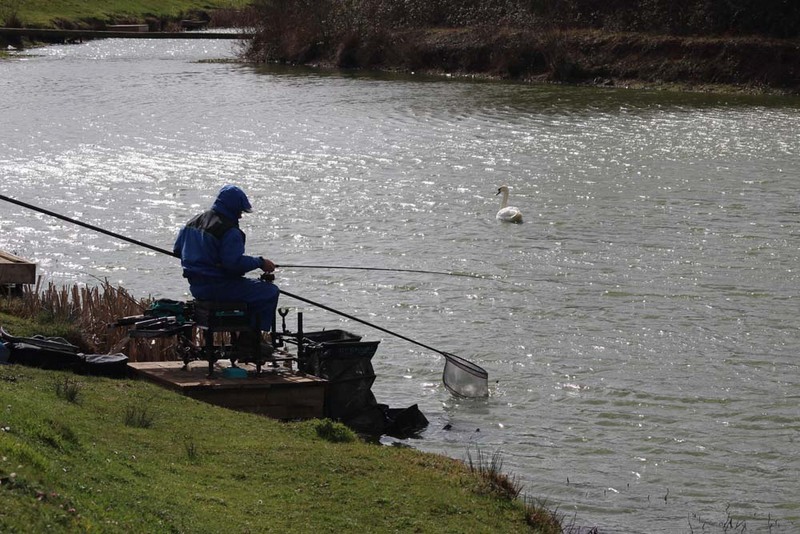 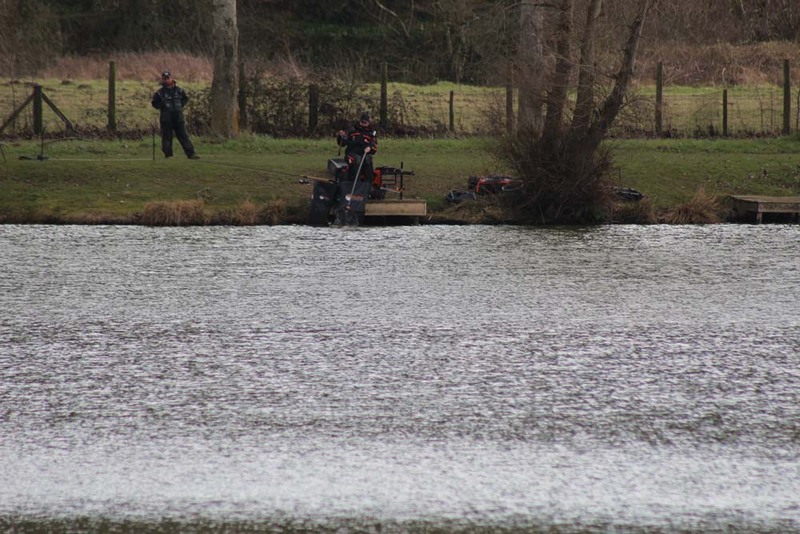 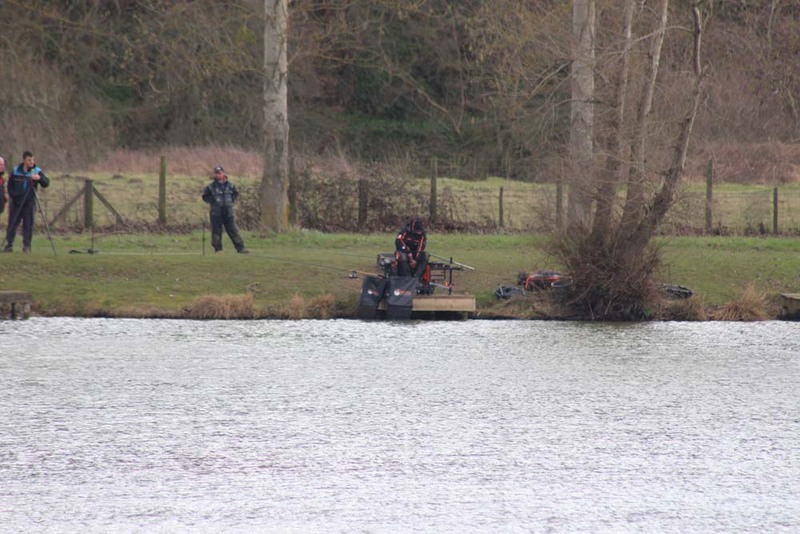 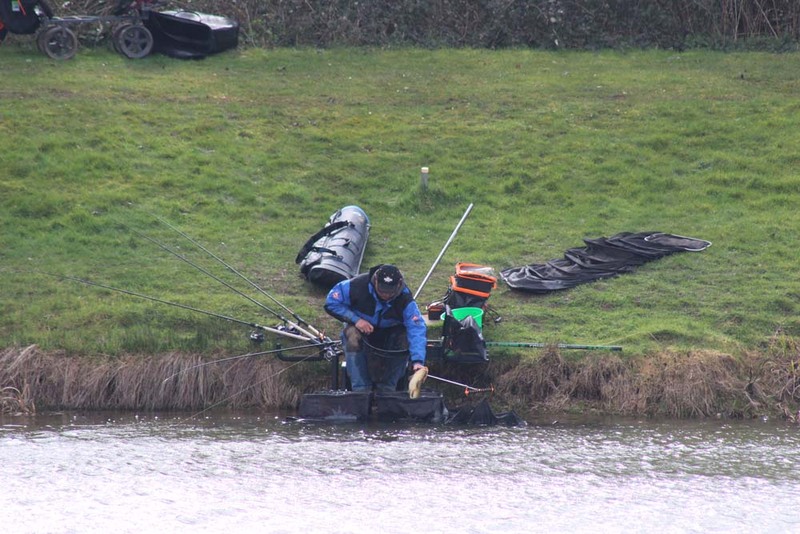 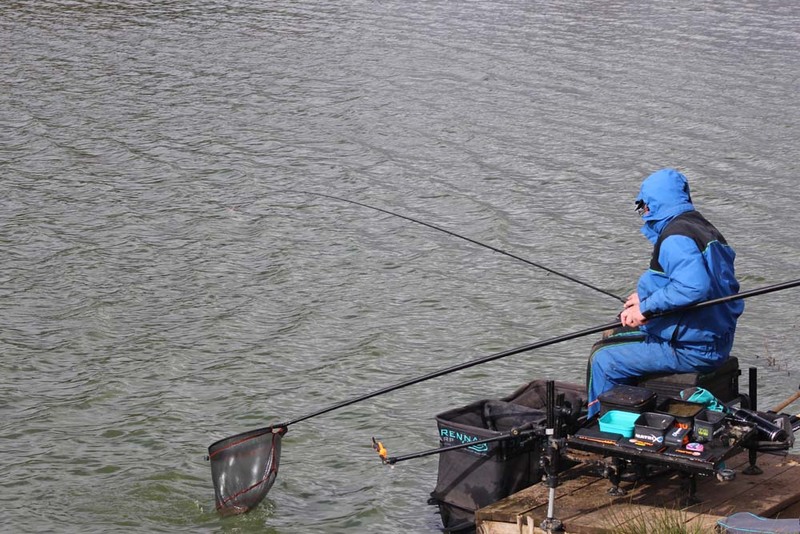 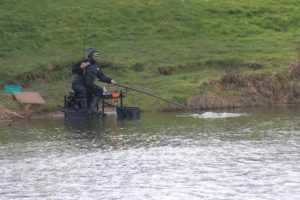 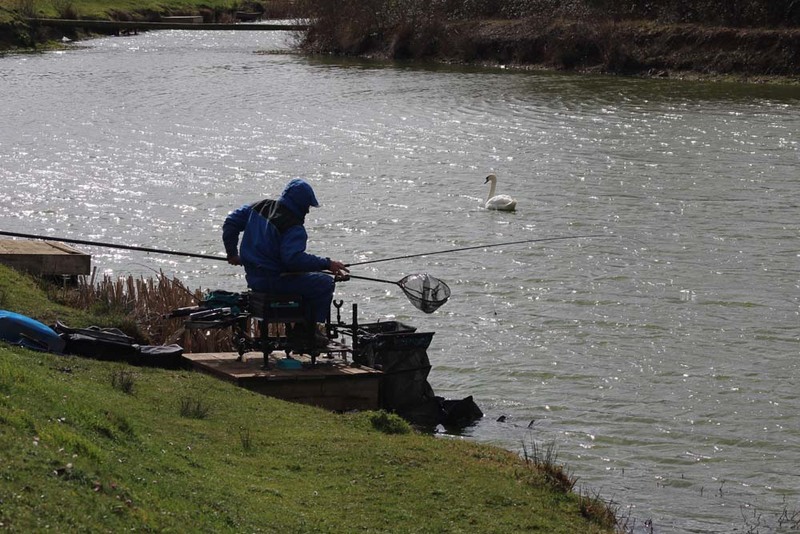 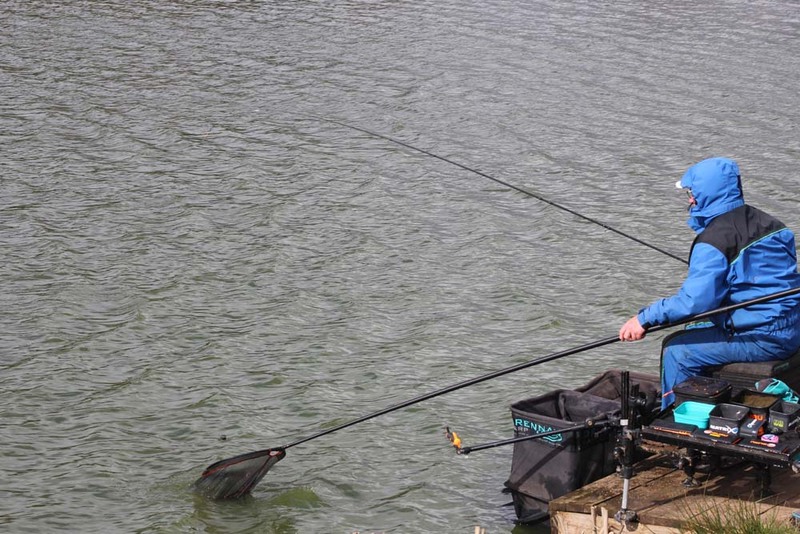 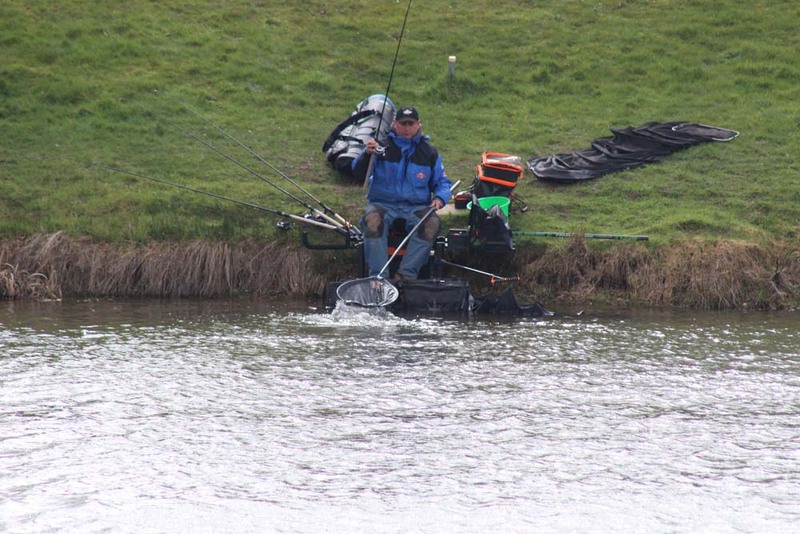 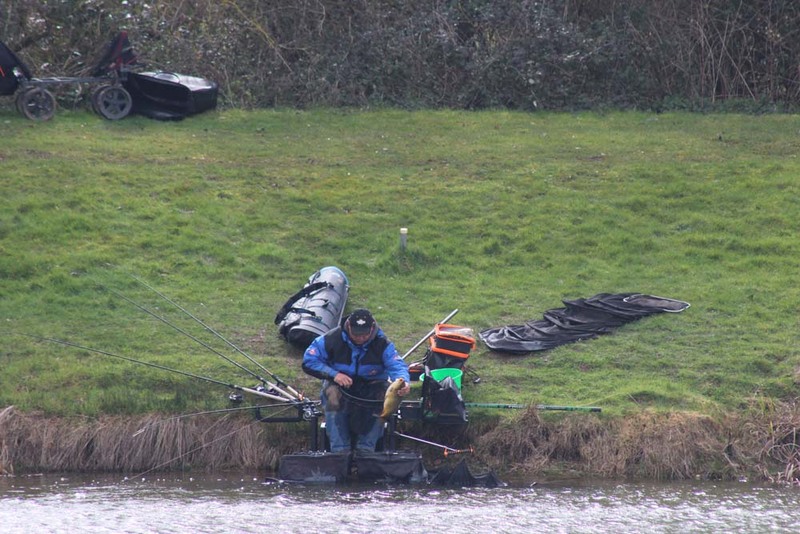 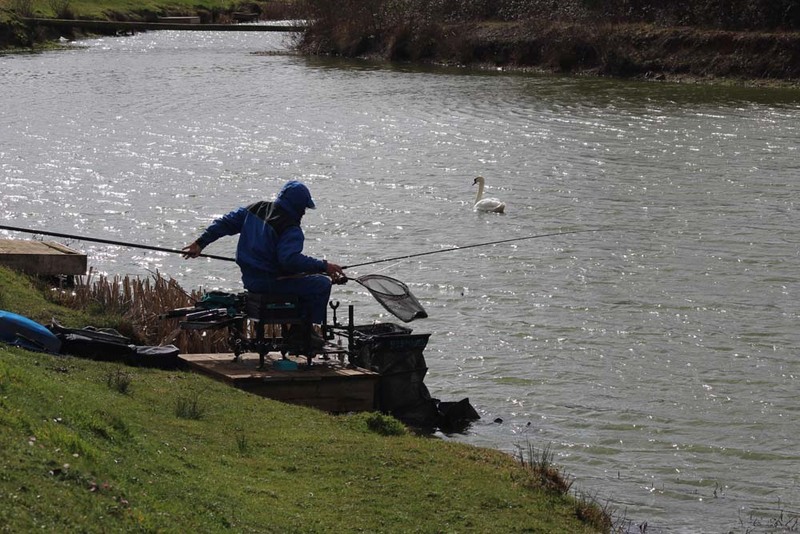 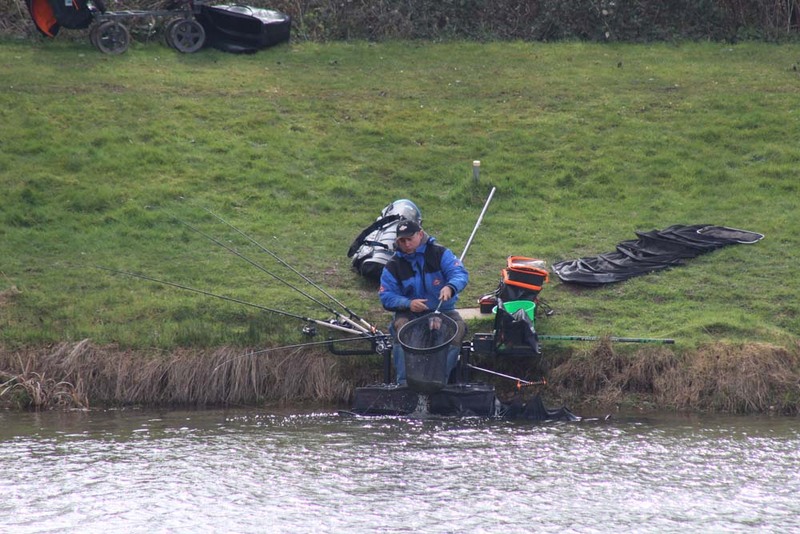 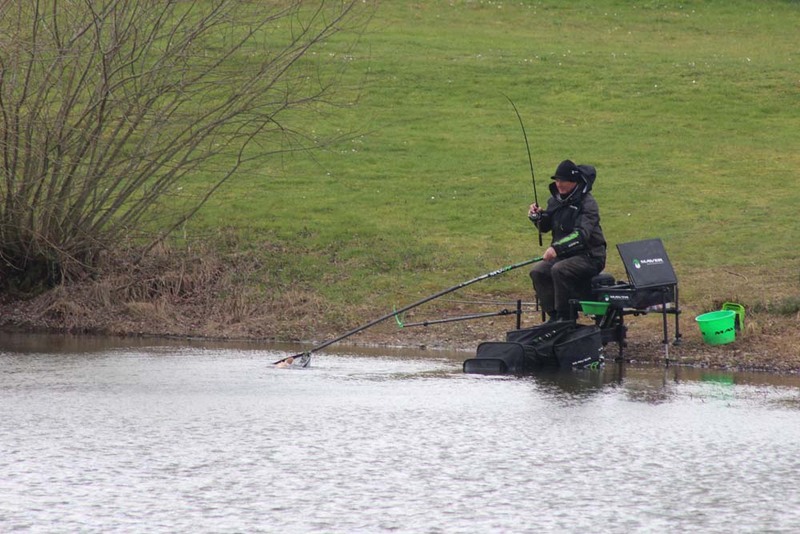 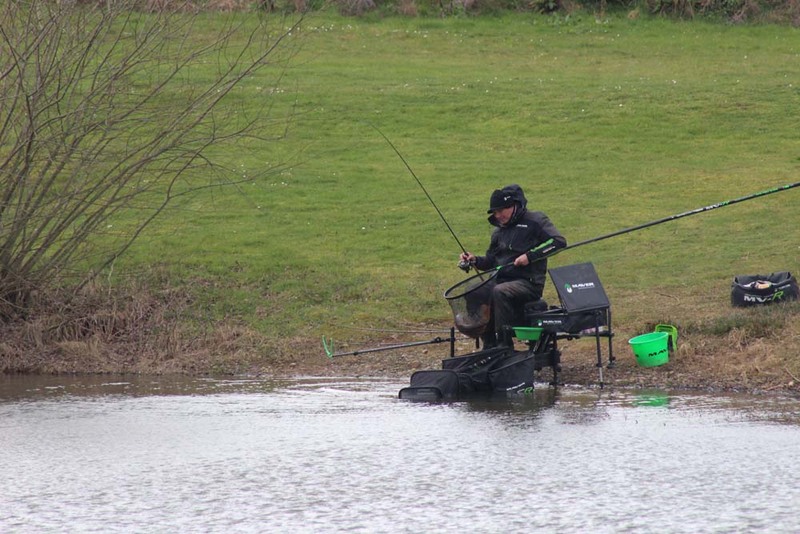 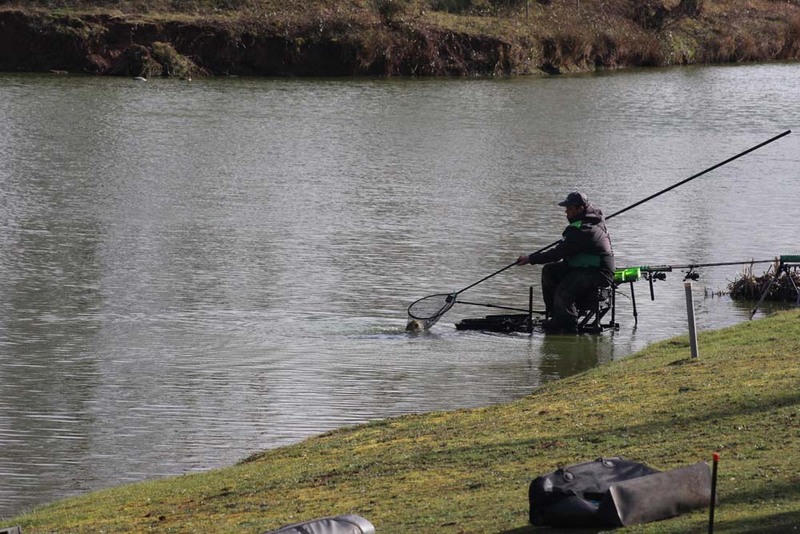 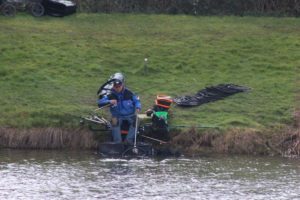 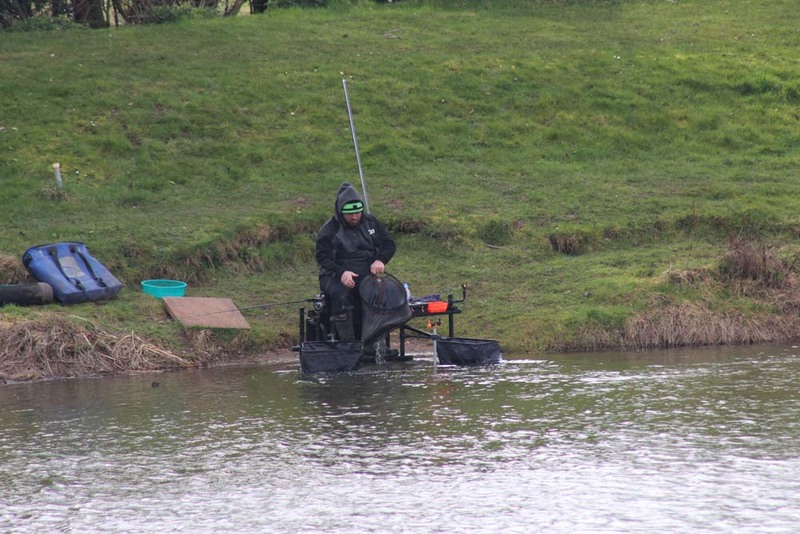 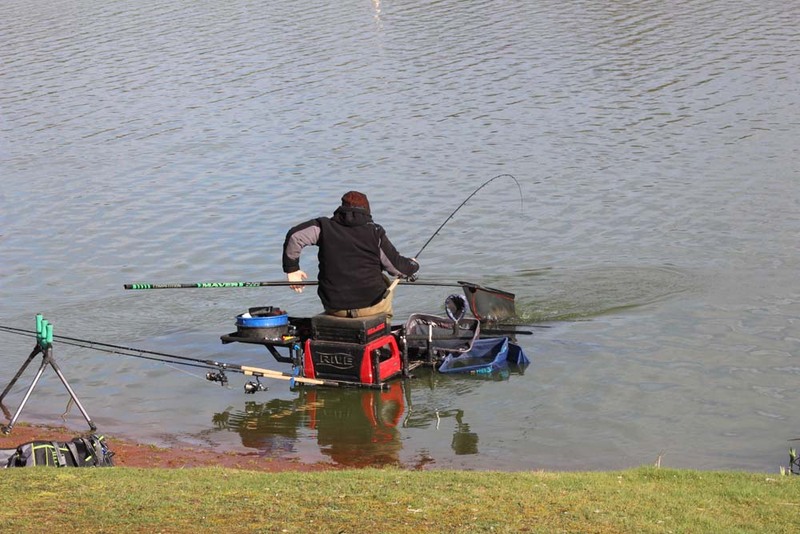 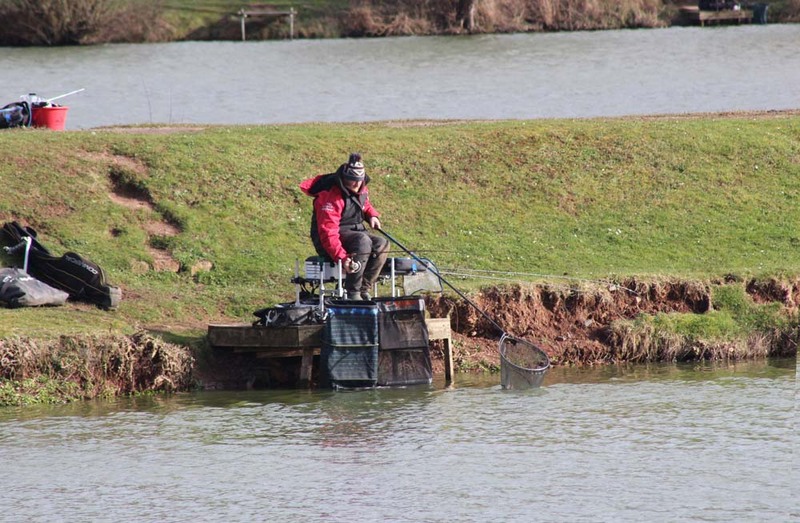 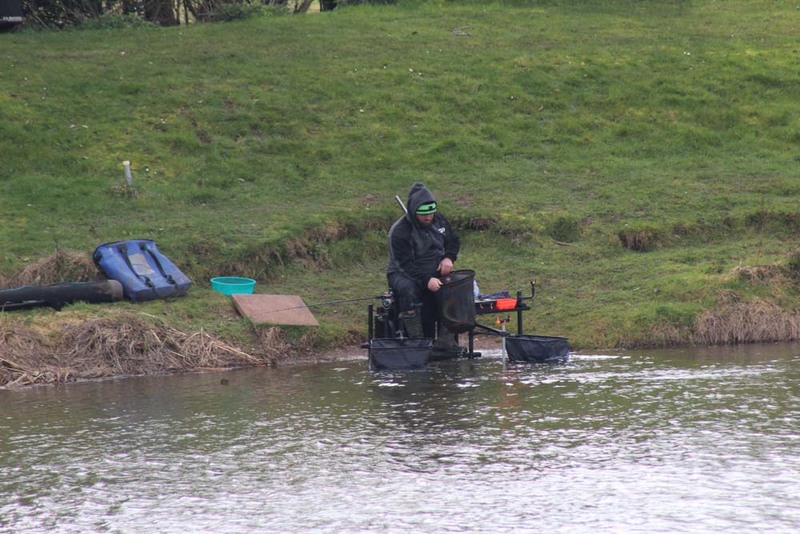 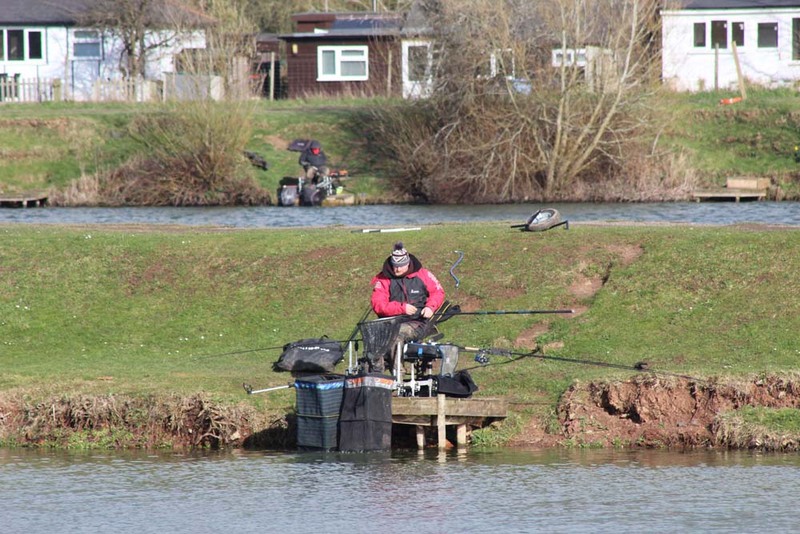 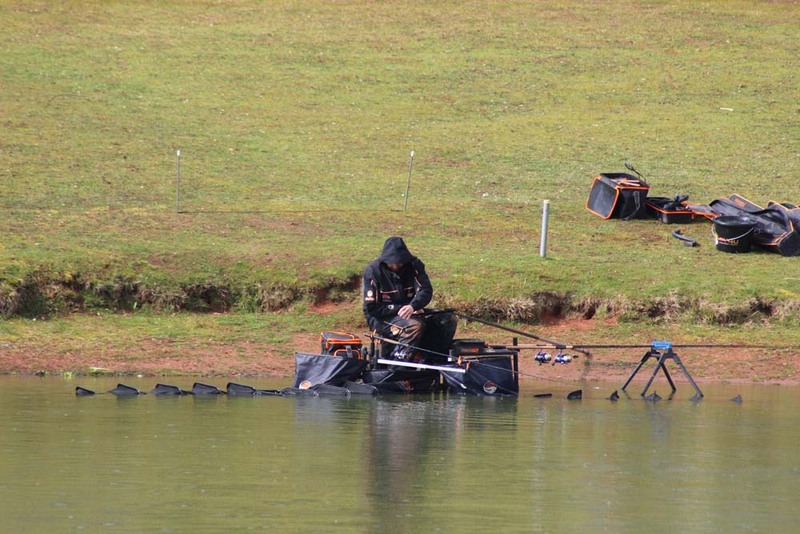 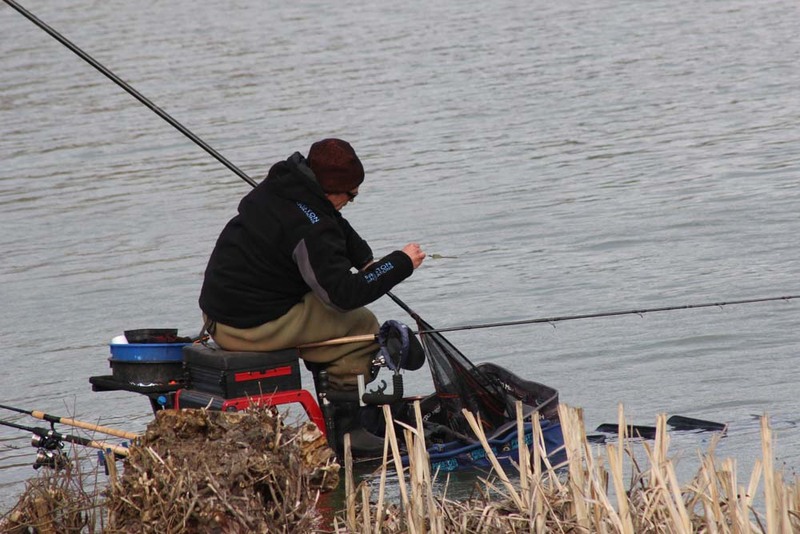 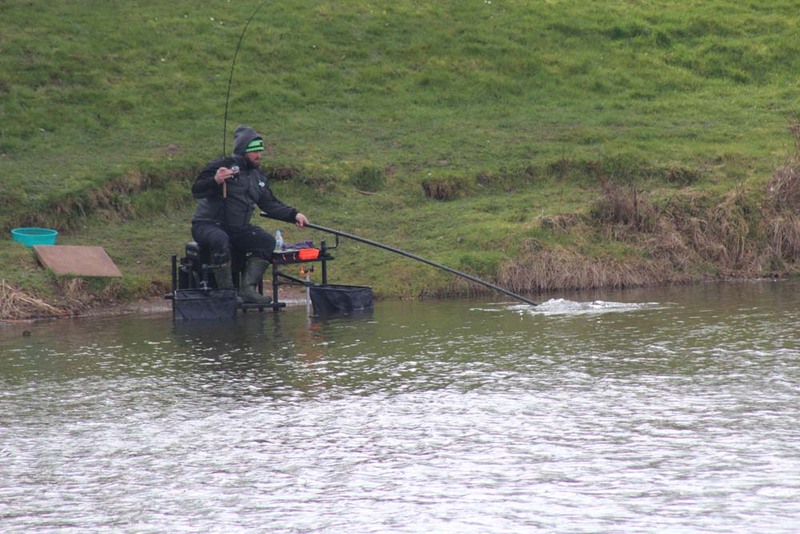 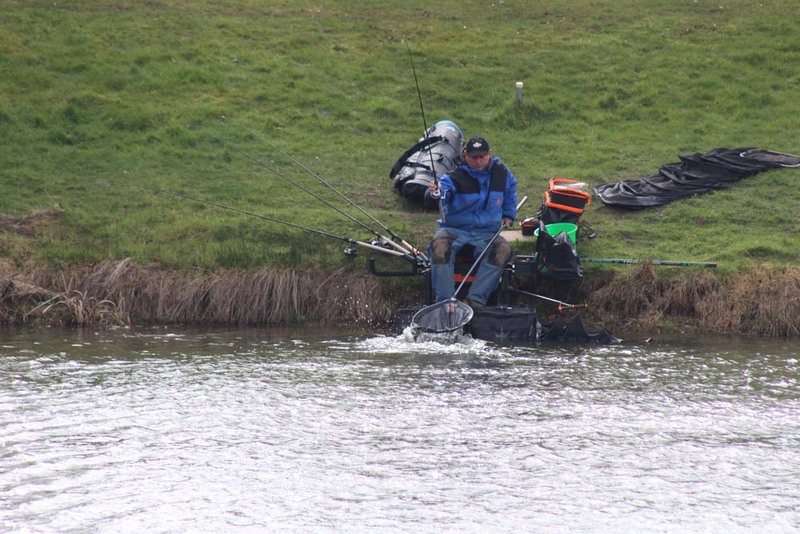 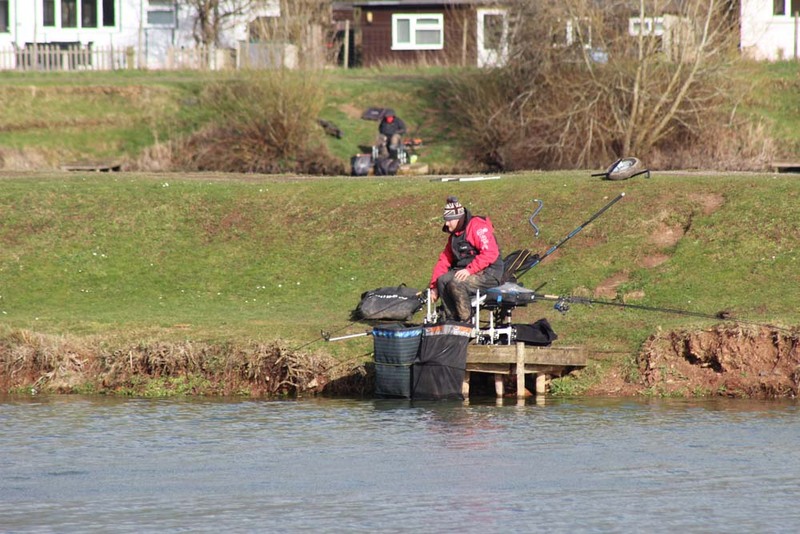 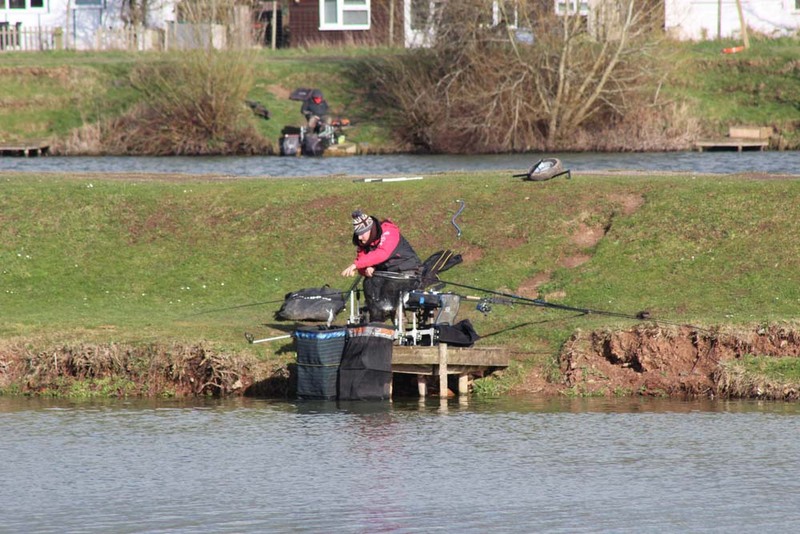 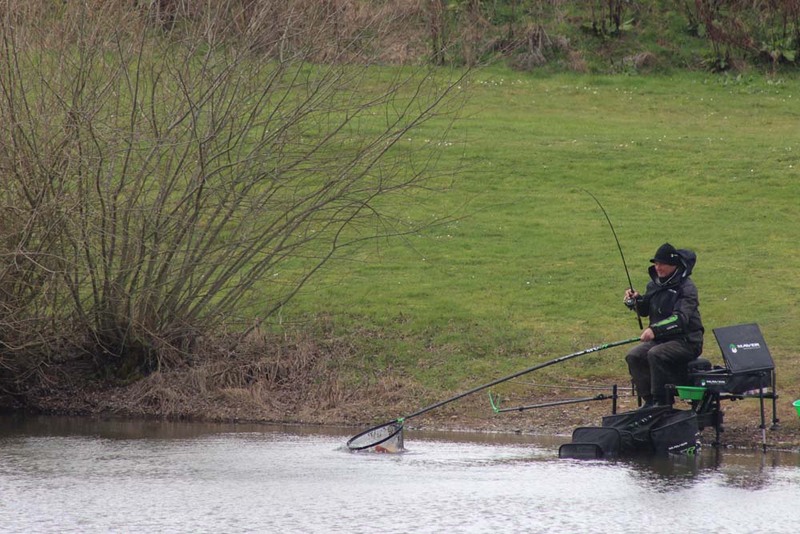 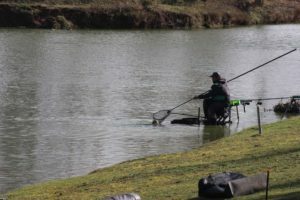 Fourth placed Steve Tucker secured a lake and section win from the 10 peg Arena section. 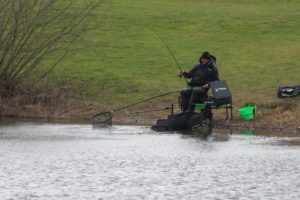 Steve drew fancied peg 18 and made it pay by landing 87-01-00 of good carp fishing short and down his edge on method and cage feeder tactics. Steve fished waffters and hard pellet. 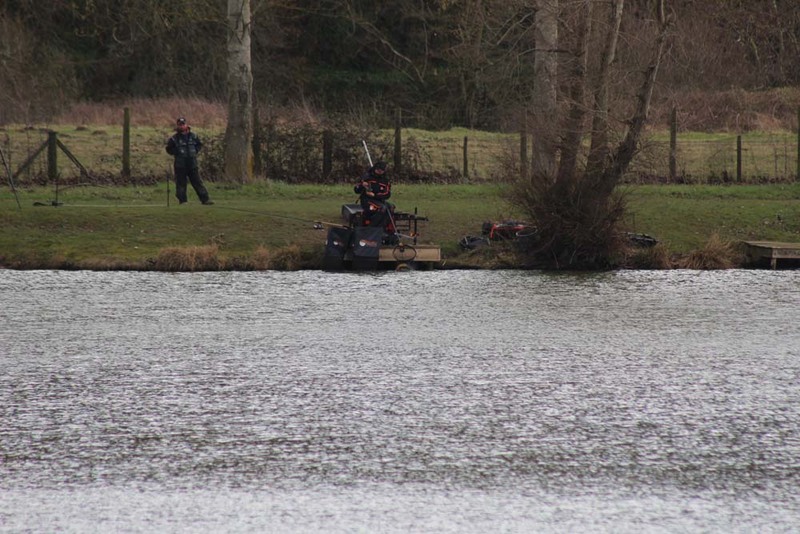 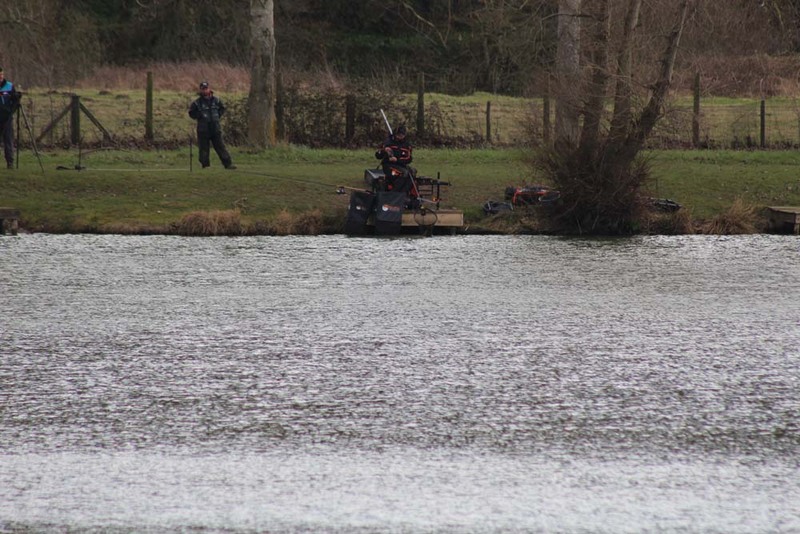 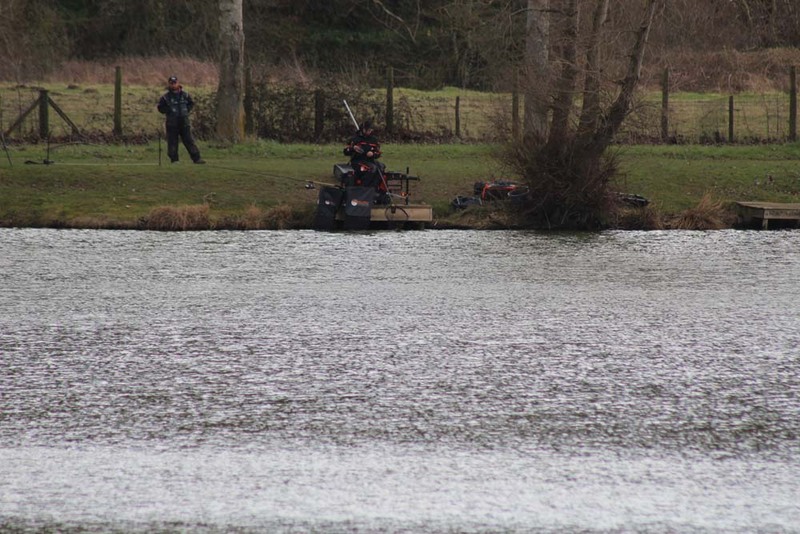 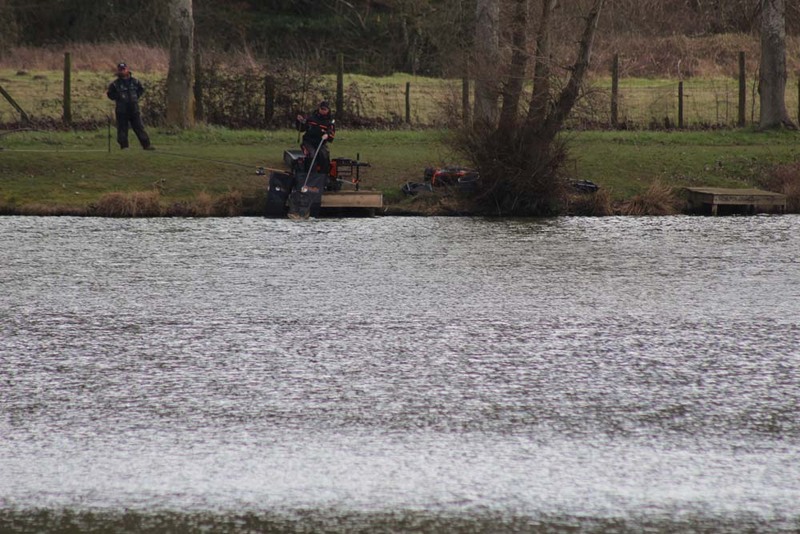 Fifth placed Paul Cook drew peg 70 on the Specimen Lake and had a very slow start. A few early bream to the method and waffters but consistant feeding down his edge and short produced some late quality carp giving him 82-15-00 and an important section win. 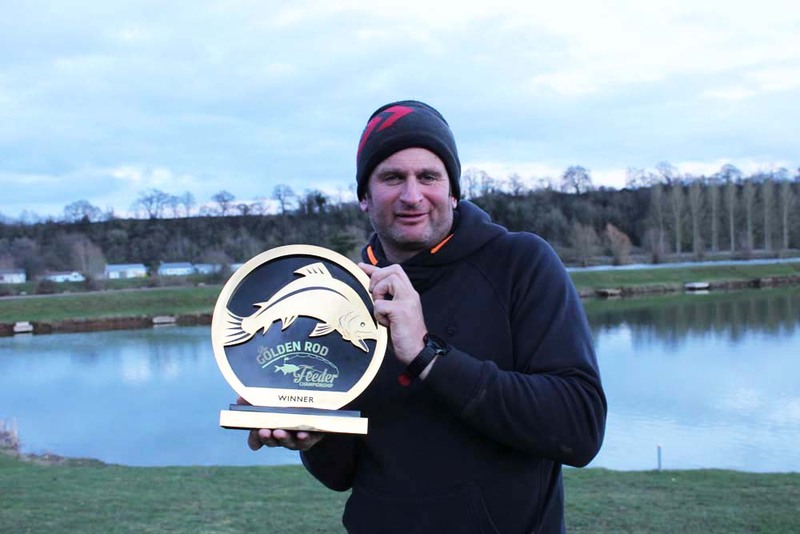 With one day to go, 24 anglers were in contention to frame or lift the champions trophy. 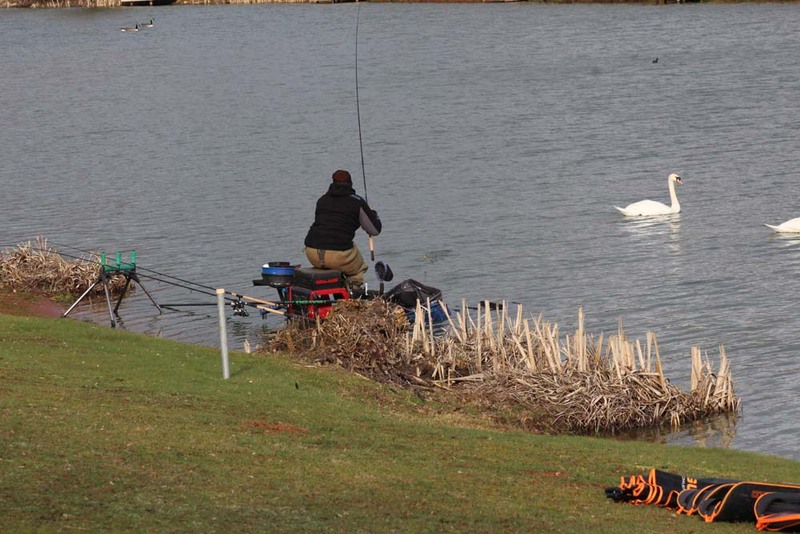 The Section was won by Ben Fisk from peg 6 with 43lbs. 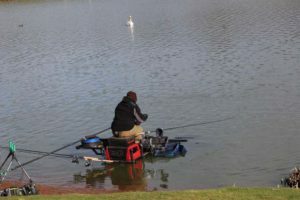 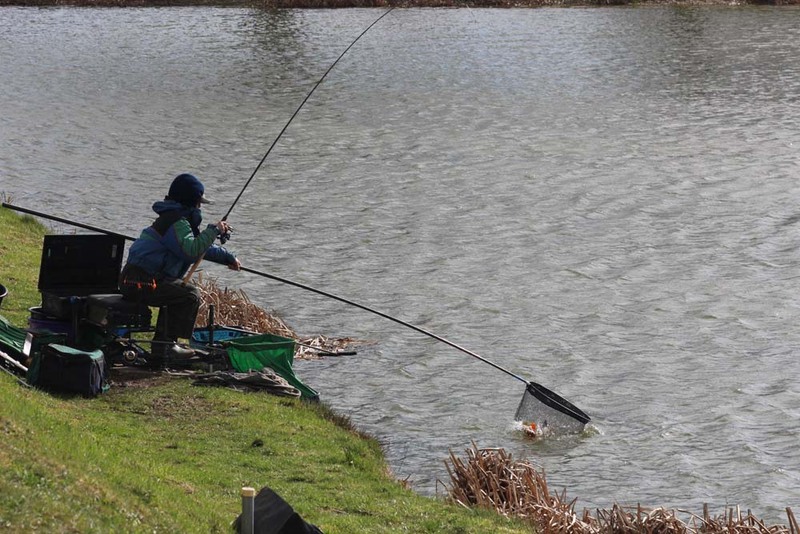 Ben caught on the Method and cage with waffters fished short and down his edge. 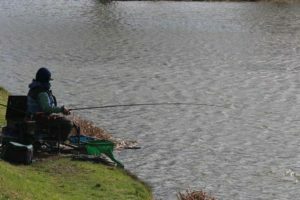 His performance was enough to secure a top 10 overall placing. 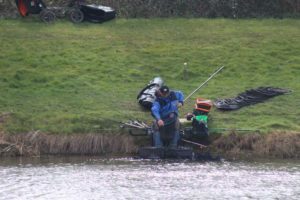 The Section was won by Steve Seabourne with 61-01-00 from peg 24. 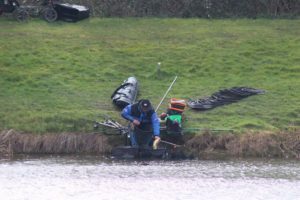 Steve caught on the method short and down his edges. The Section was won by John Turnock from peg 20 with 53-10-00 of carp to the method and waffters. 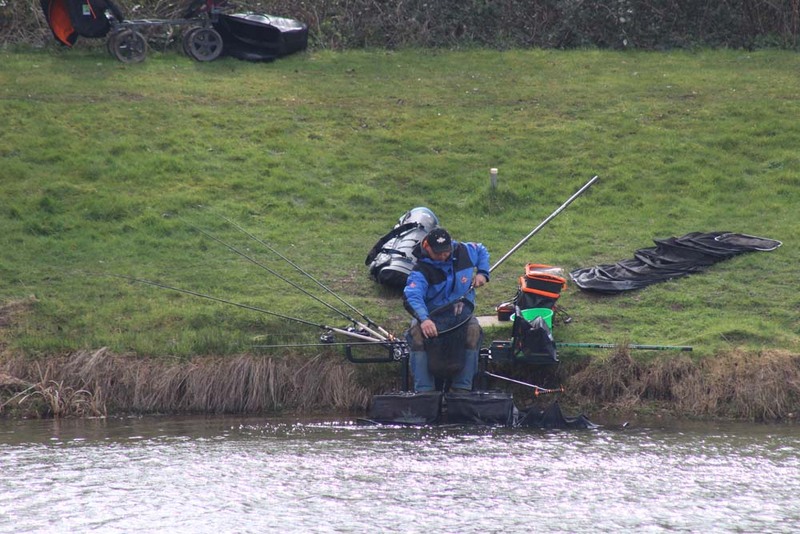 John pushed Tommy Pickering out of a section win by just 1lb 6oz to secure the section. 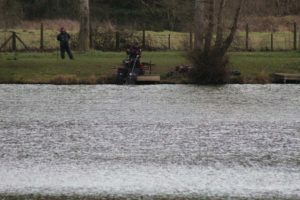 The section was won by Richard Pennington with 30-07-00 of carp and bream. 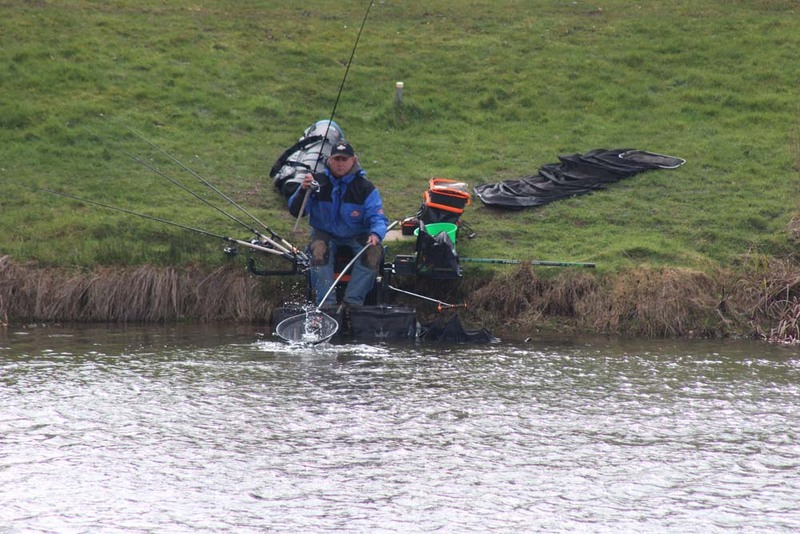 His performance not quite enough to make the top 4 and his 5 point overall score putting in him in 5th place overall. 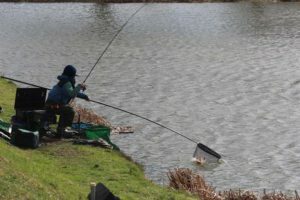 Richard caught on method and cage feeder from peg 3 on the Specimen Burr. 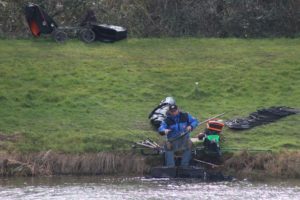 Winner of section E was Paul Twigg with 26-13-00 from peg 64. 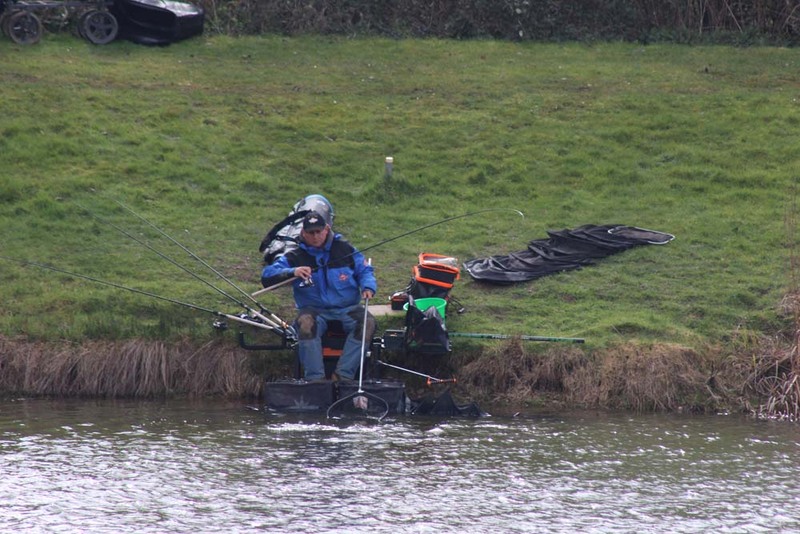 Paul’s catch of bream was enough to secure an overall two day place of 9th place overall. 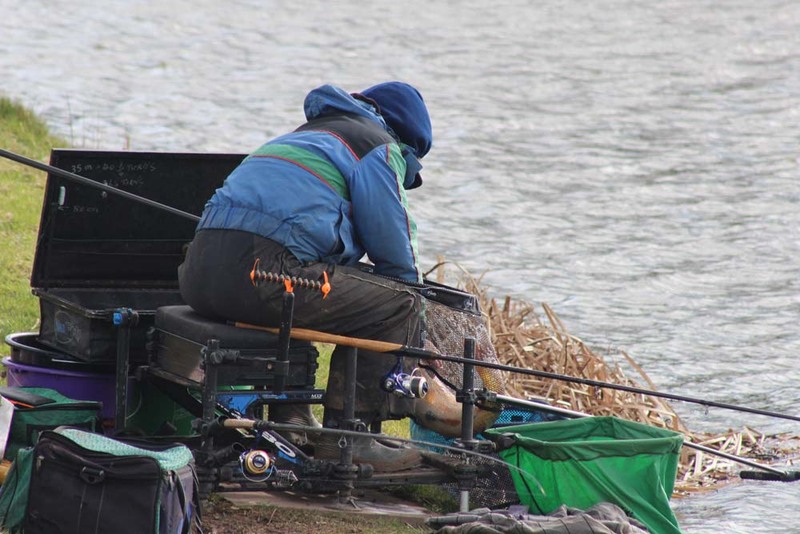 Another fine performance from Lee Kerry who drew pag 52. 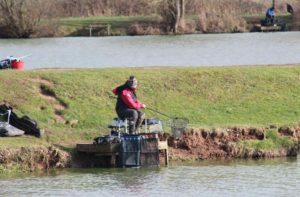 Lee was sitting on 3 points after day 1 so a section win was vital to stay in the hunt for an overall win or top 4 placing. 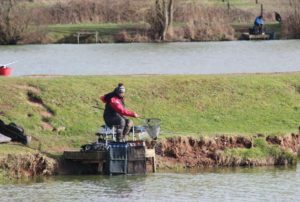 Lee found some quality bream throughout the day and later caught two good carp down his edge to weigh 45-14-00 and vital section win. 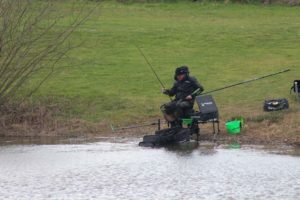 What a conclusion to 2 days of very competitive feeder fishing. 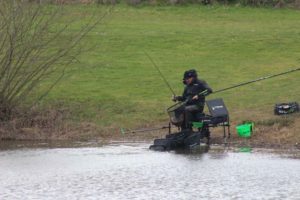 England’s best feeder angler Steve Ringer scored a superb 3 points winning his section on day one and securing second in his section on day 2. 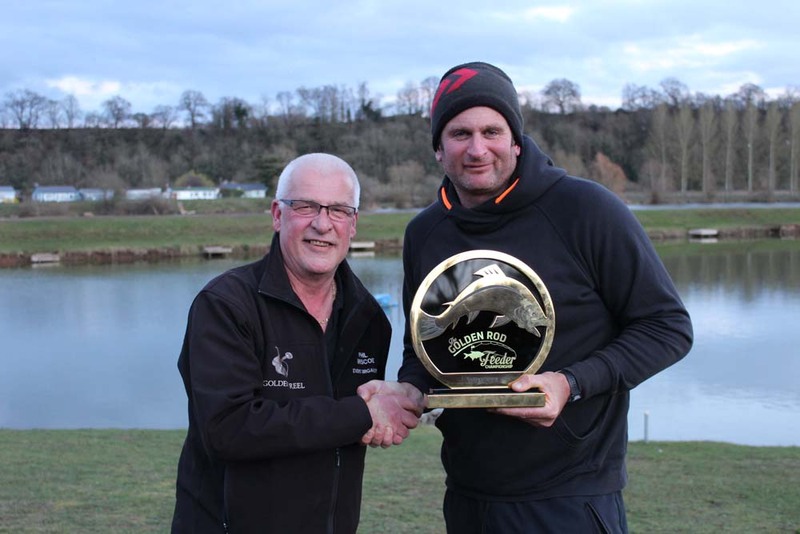 Steve’s 3 point total was equal to Tommy Pickerings score but Steve lifted the trophy by way of a superior weight and pocketed a massive £12,000. 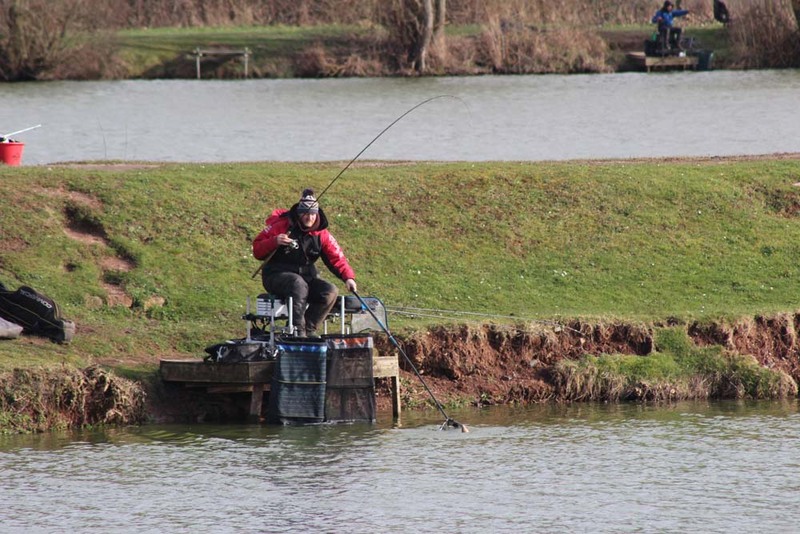 Second overall was Tommy Pickering who put in a truly amazing performance scoring 3 points over the two day final. 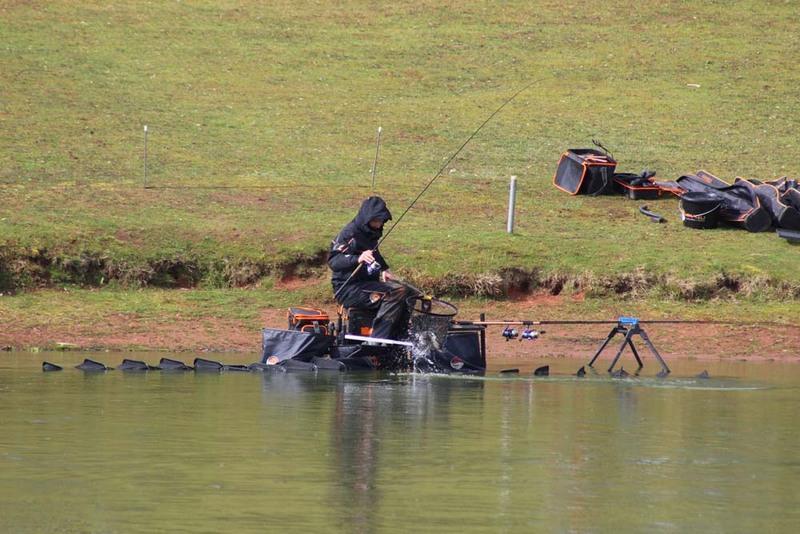 Tommy drew the Arena on day 2 and lost a massive carp at the net that would have certainly won him the title. 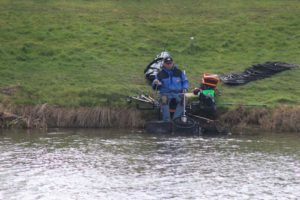 Beaten by just 1lb 6oz for a section win on day 2, Tommy’s overall weight was 132-14-00 just 1lb short of Steve Ringer and scoring 3 points over the 2 days. 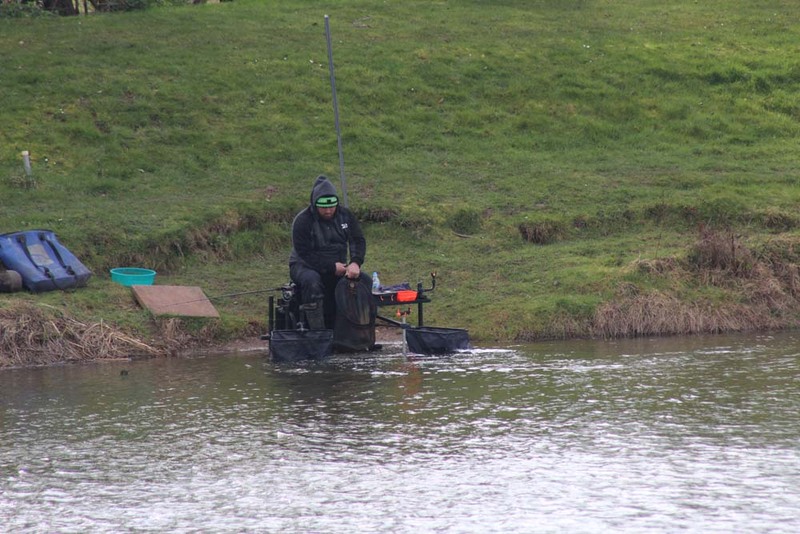 As much as Tommy wanted to the title, he walked away with a massive £7,000 for a deserved second overall placing. 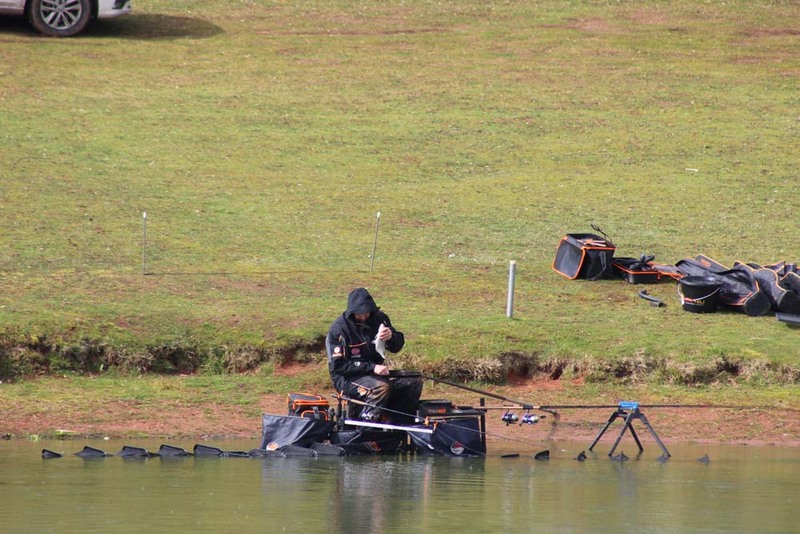 Third overall was Ian White with a two-day point score of 4. 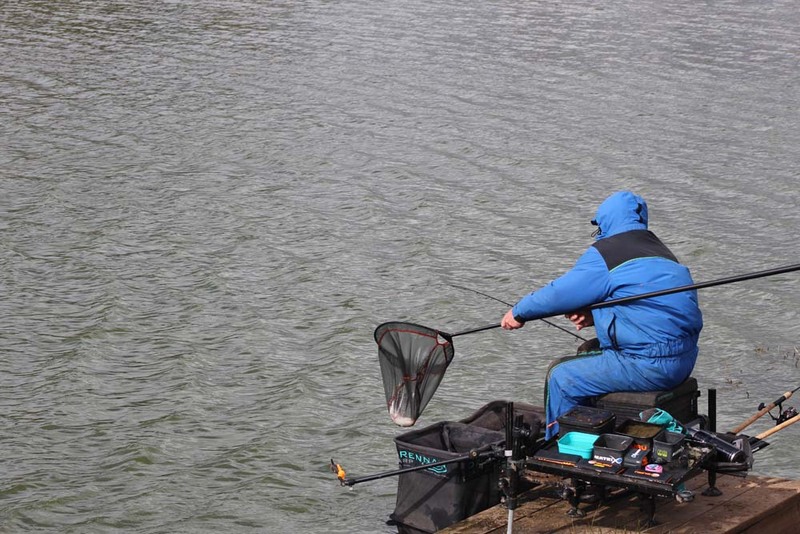 Again, the position was decided by weight and Ian secured his placing with 121-05-00. 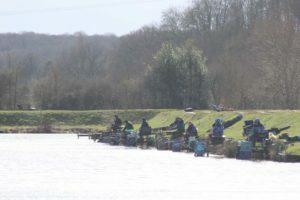 Fourth to the frame was Lee Kerry with a 2 day point score of 4. 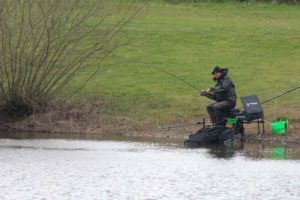 All in all, a truly wonderful 2 day final enjoyed by all. On behalf of Golden Reel Angling Ltd, Larford Lakes and myself, I would like to thank all the finalists who took part. The spirit of the competitors was magnificent and I look forwards to seeing many of you again in next year’s final. Remember, if you’re in it you can win it. Last year 10 venues sold out within 3 hours, demand was very high for this competition. 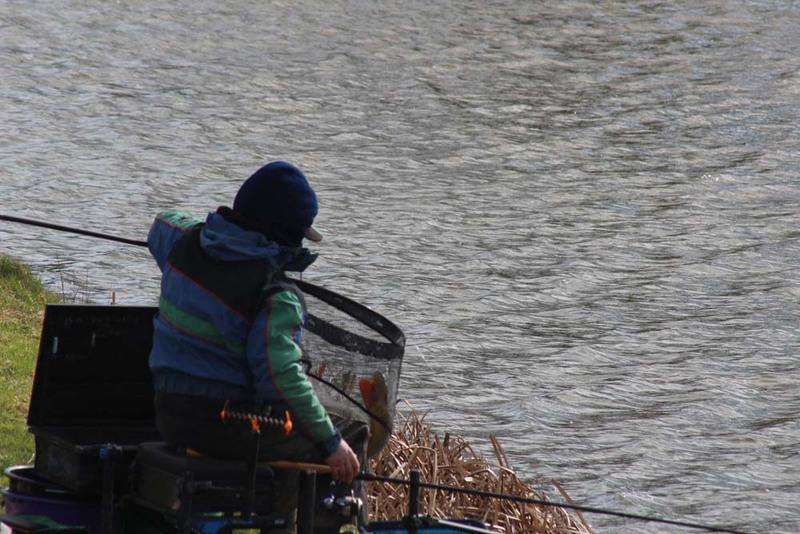 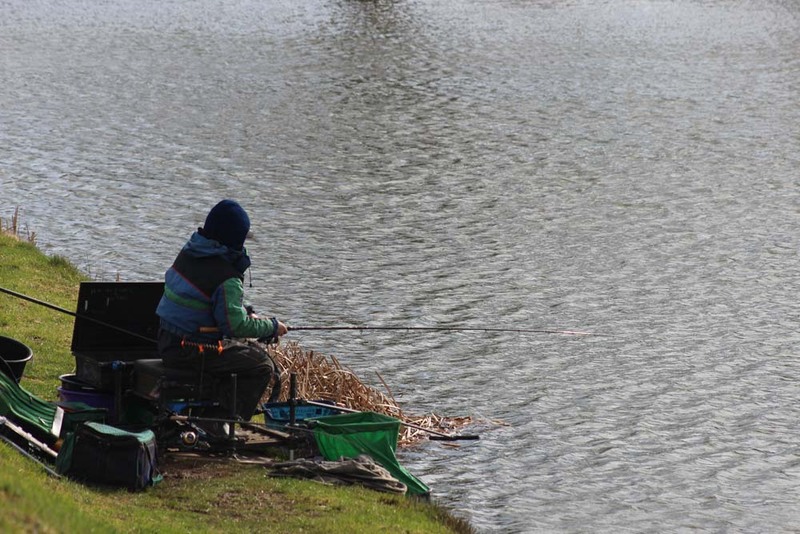 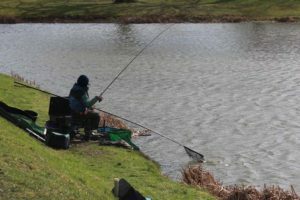 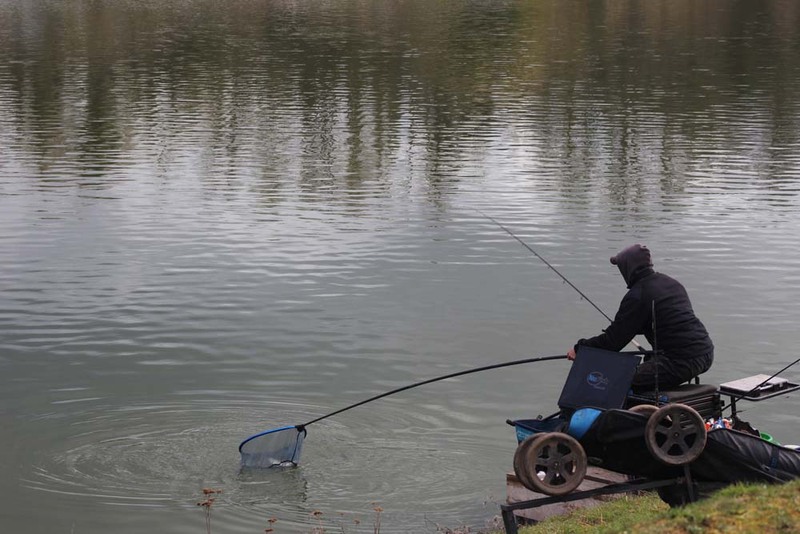 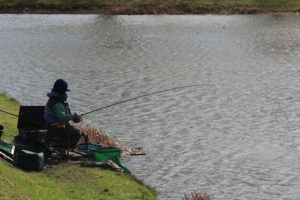 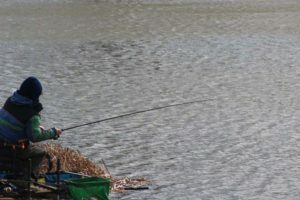 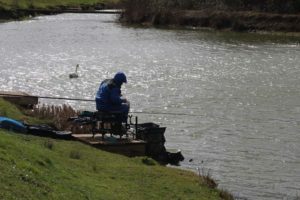 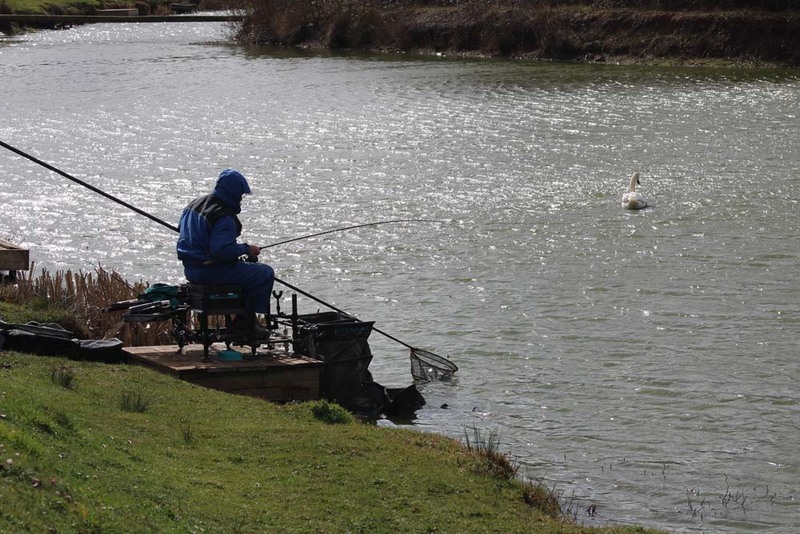 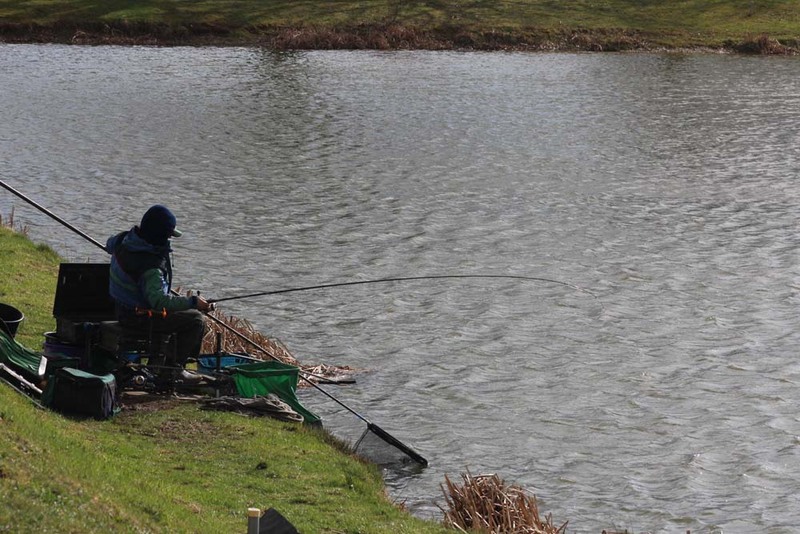 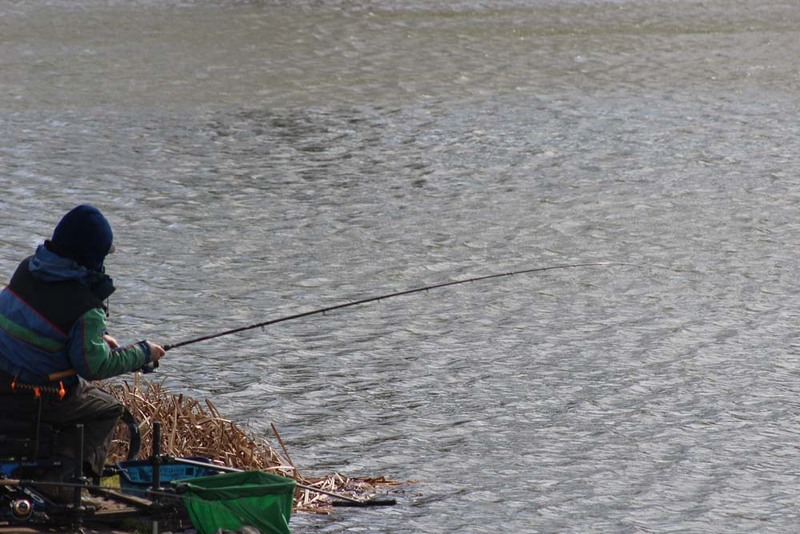 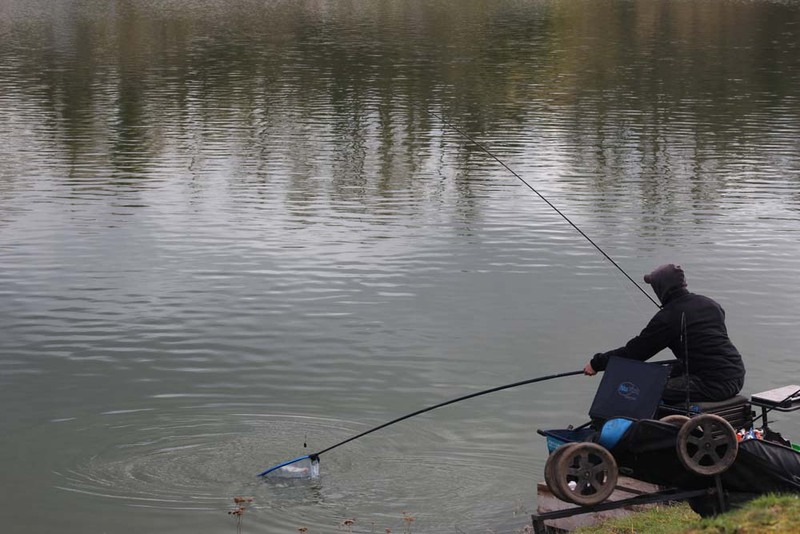 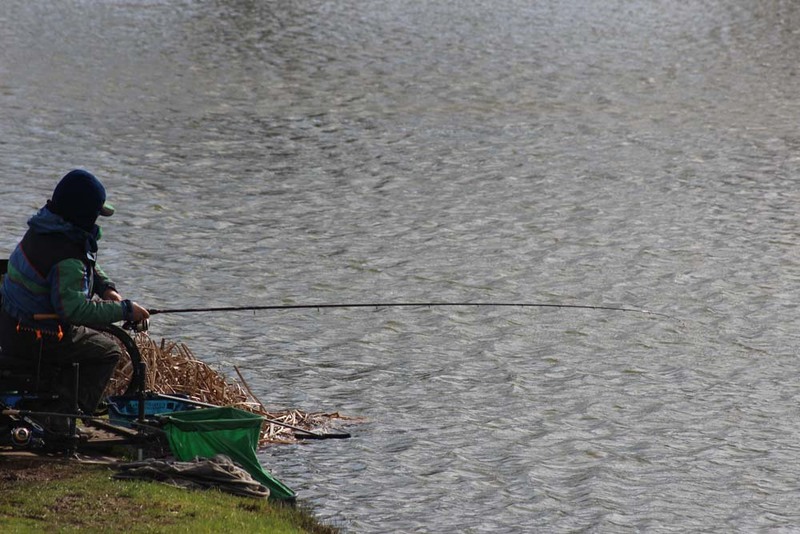 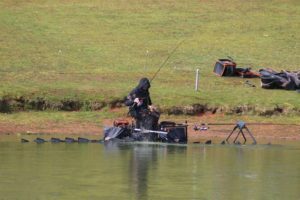 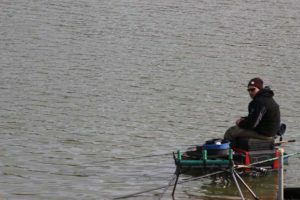 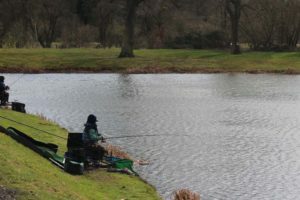 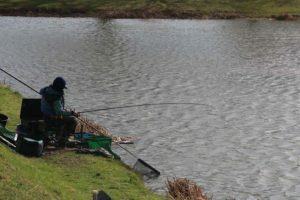 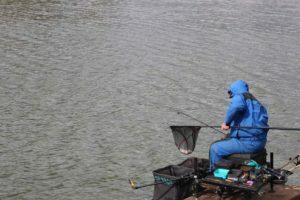 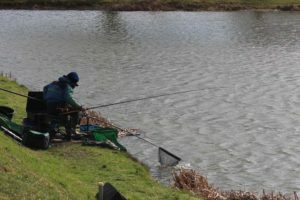 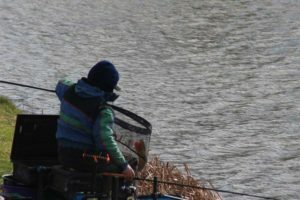 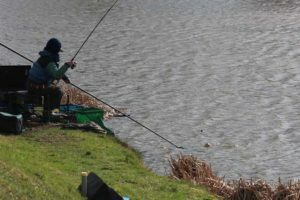 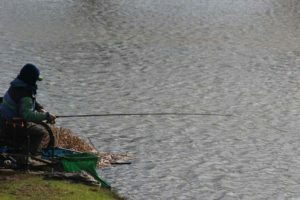 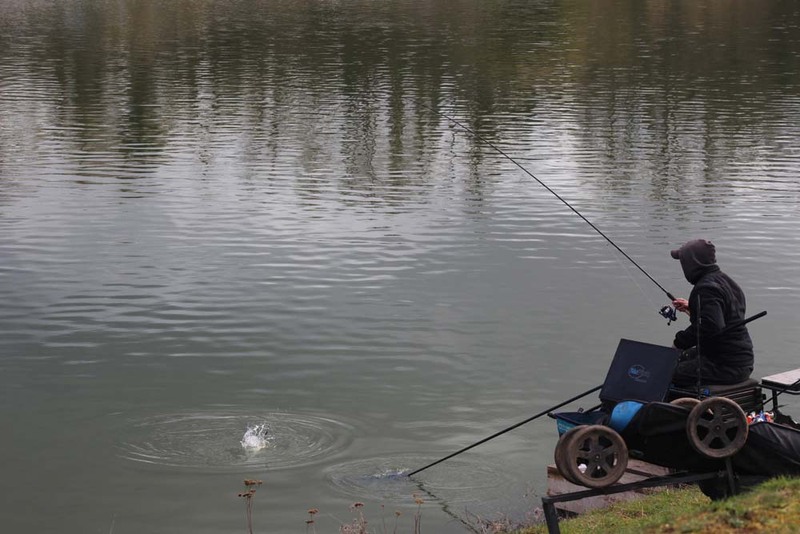 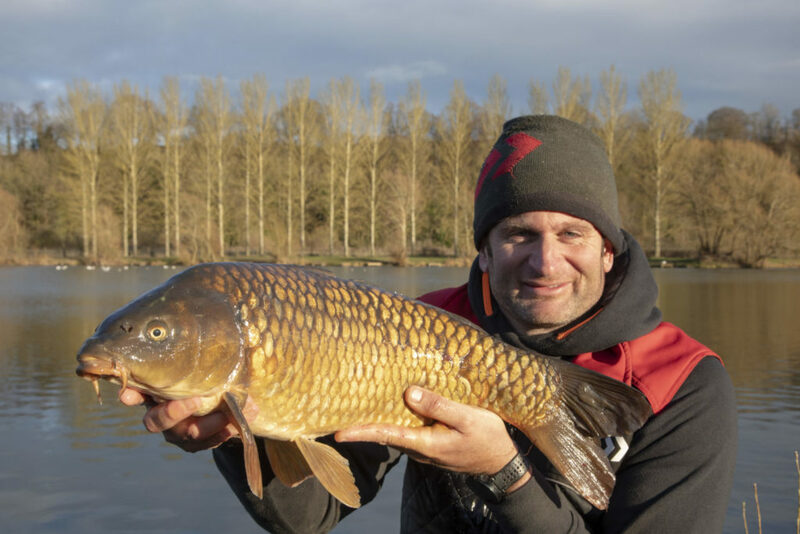 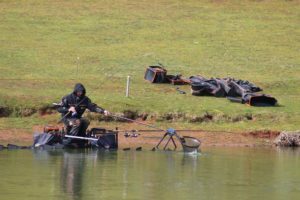 Feeder fishing is now a very popular angling style and fits into the competitor’s diaries well as events like this one will present an opportunity to fish during the autumn and early winter period when feeder fishing can be at its best. 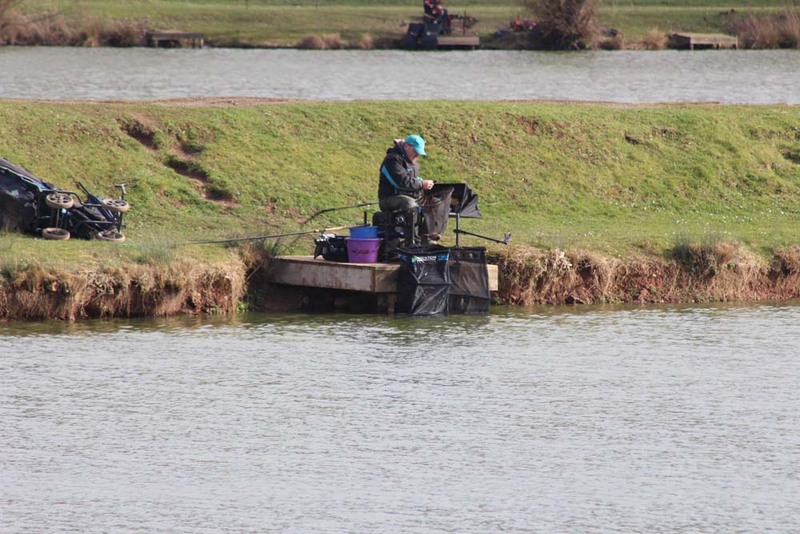 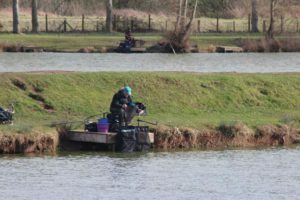 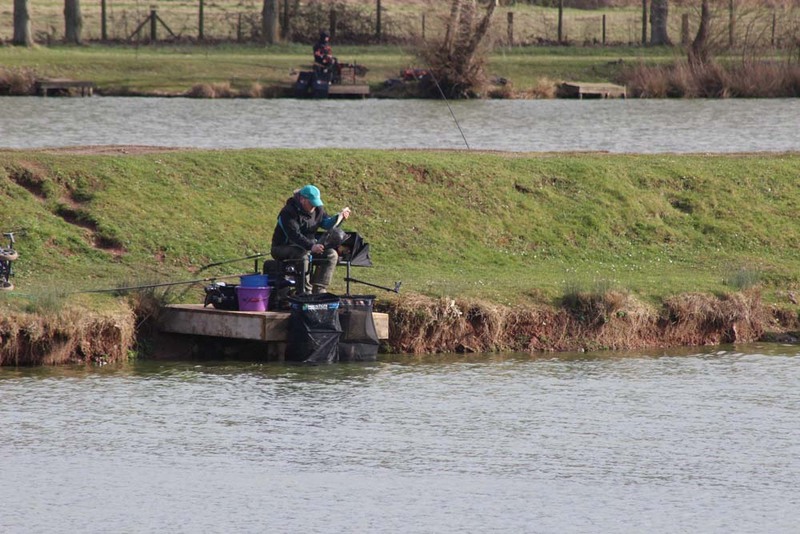 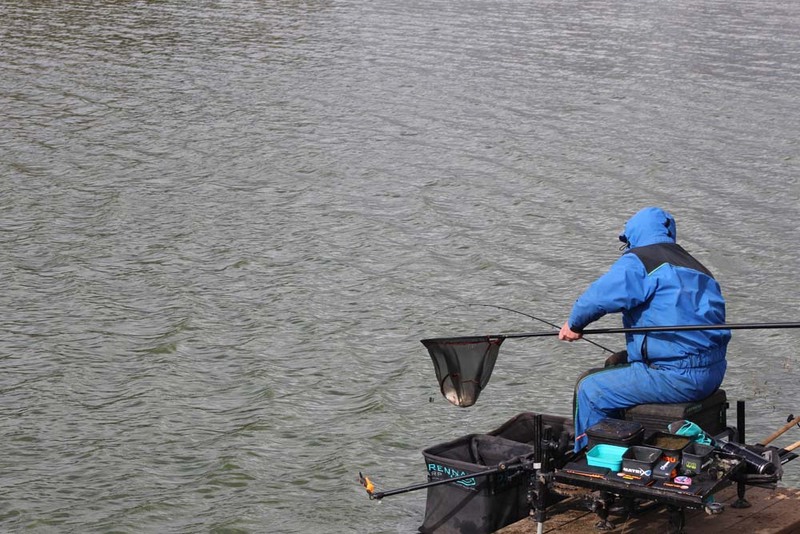 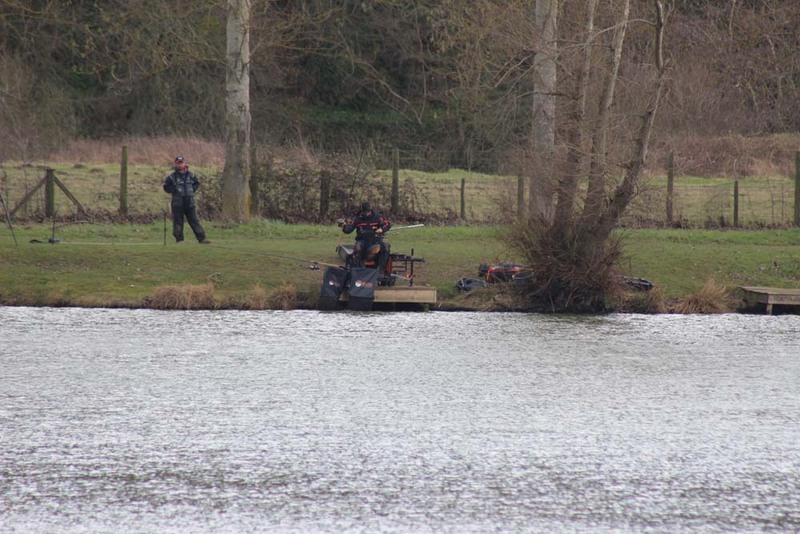 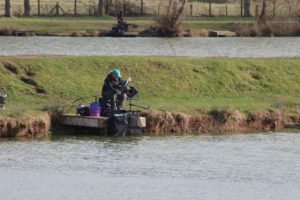 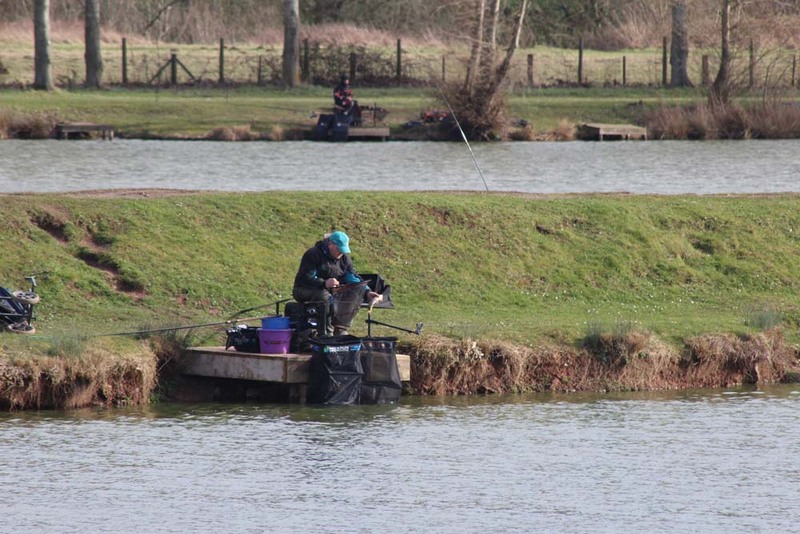 Each 60 peg qualifier will send 3 anglers (1 per zone of 20) into the Grand Final which will be fished at Larford Lakes on Saturday 16th March and Sunday 17th March 2019. 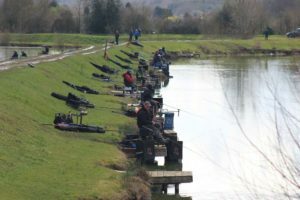 With all the qualifiers now completed, e-mails will be sent to all the finalists, providing we have their correct email addresses. The final will take place on Saturday 16th and Sunday 17th March where someone will walk away with the Golden Rod Trophy and £12,000 in prize funds. 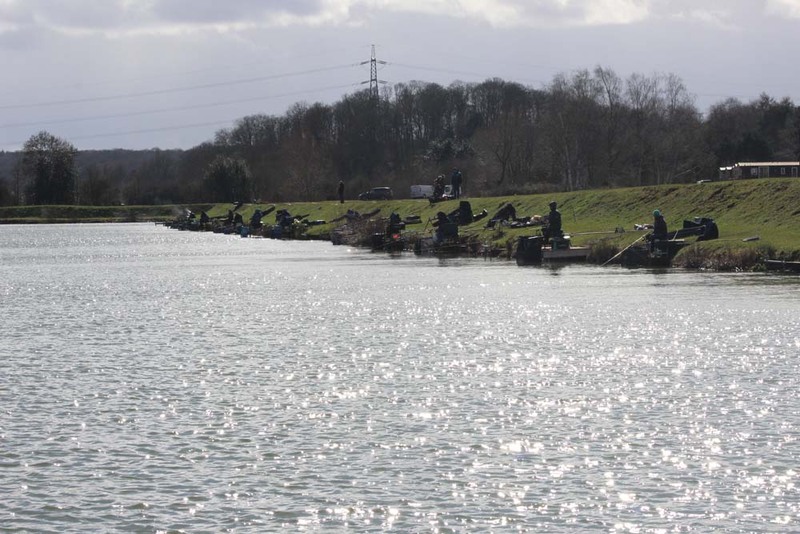 Second overall will collect £7,000, 3rd £4,000 and fifth £2,000. In addition to the prize funds, £150 per section of 10 will also be paid out daily. 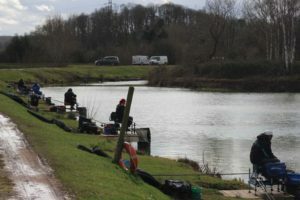 The overall prize fund paying out £26,800. Finalist should arrive no later than 9am on the 16th March to make their peg draw. 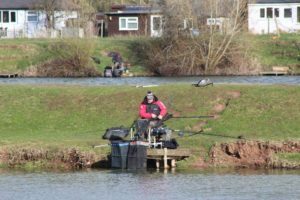 Larford lakes complex is open to all finalists from Monday 11th March for practice and there will e a feeder open match on Friday 15th March on both the Specimen and Match Lakes. Well done to all the finalists. 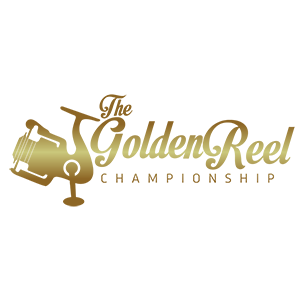 You’re in it, now you can win it. 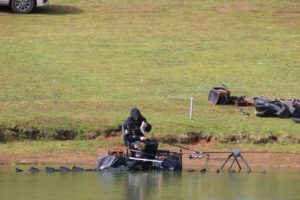 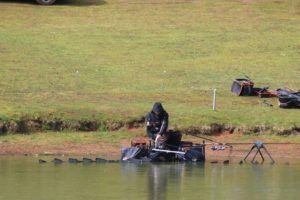 Following the enormous success of the prestigious Golden Rod Feeder Championship fished over 20 nationwide qualifiers, we are ready to launch the next feeder only series to be staged at many of the most popular UK venues. 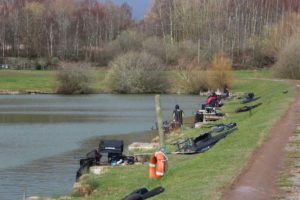 We have some brand new venues for 2018/19 along with the most popular lakes from last year’s event. 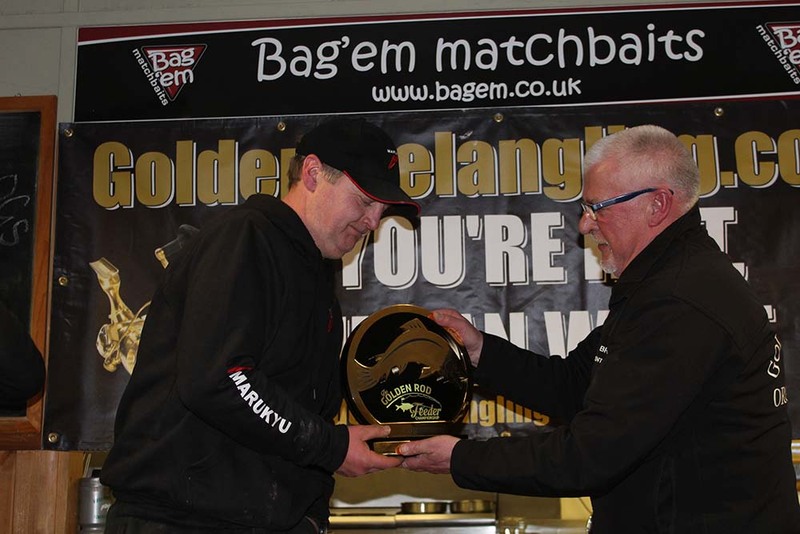 Winner from last year’s event was Charlie Simpson who collected a massive cheque for £12,000. 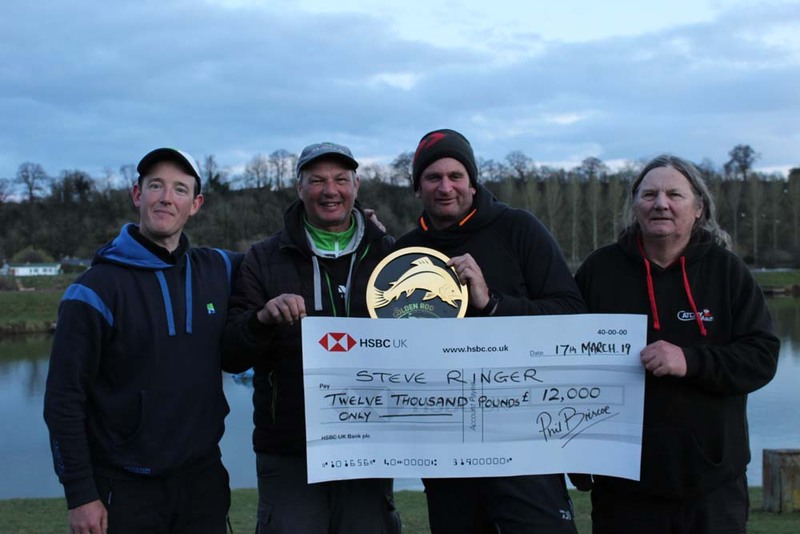 Second was Steve Ringer collecting £7,000, third was Richard Pennington collecting £4,000 and fourth place went to Les Thompson collecting a cheque for £2,000. 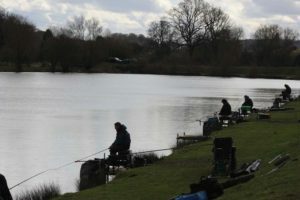 Including section prizes, a total prize fund of £26,800 was paid out. The prize fund remains the same for 2018/19. When getting the home page simply press on the Golden Rod feeder Championship to purchase your tickets. 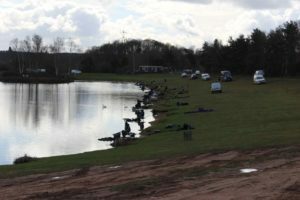 Last year’s event sold out within a couple of hours of going live. So don’t delay, tickets will be available to purchase on line from 7pm, Sunday July 1st 2018. 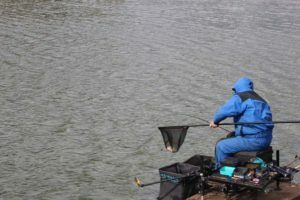 The site provides all the rules, regulations, and last year’s final is covered in detail, including all the weights and points scored from every competitor. 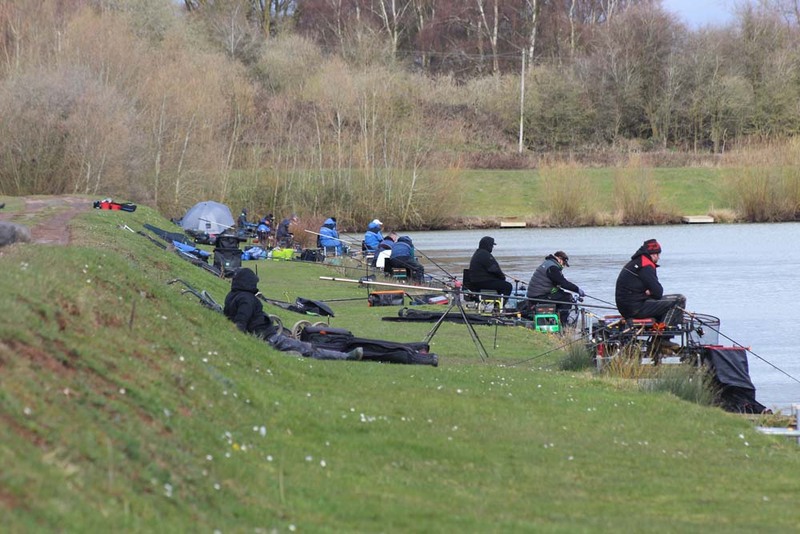 Good Luck to all the 2018/19 competitors.